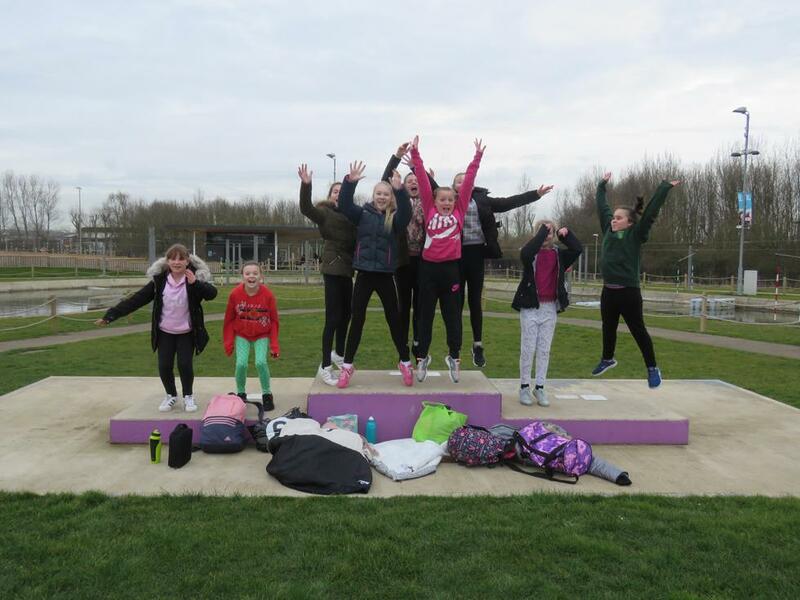 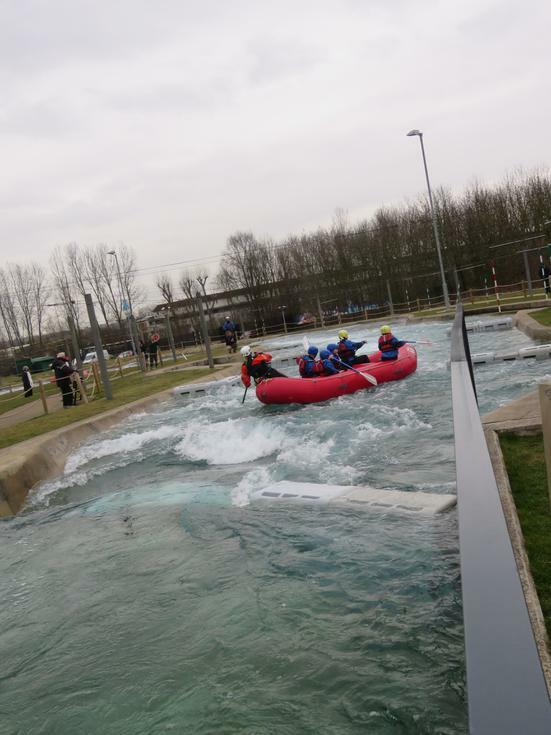 Nine Hollybush girls were lucky enough to be selected to take part in the 'International Womens day' event at Lee Valley today. 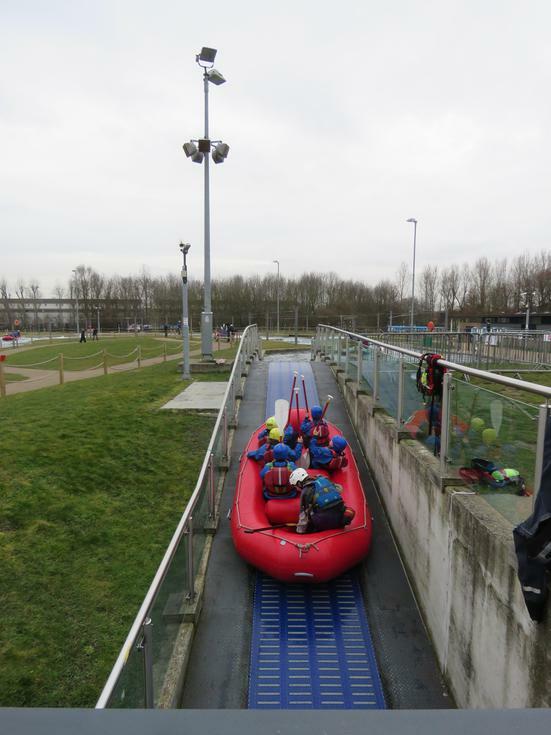 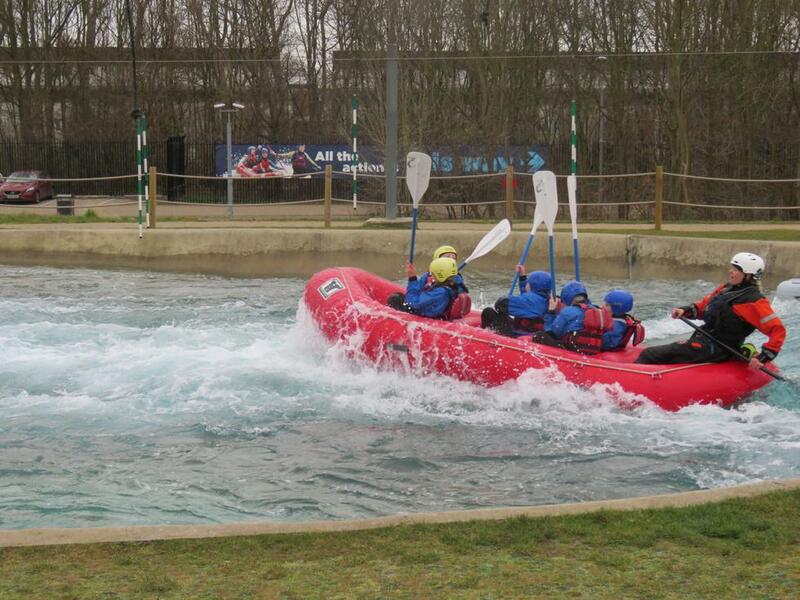 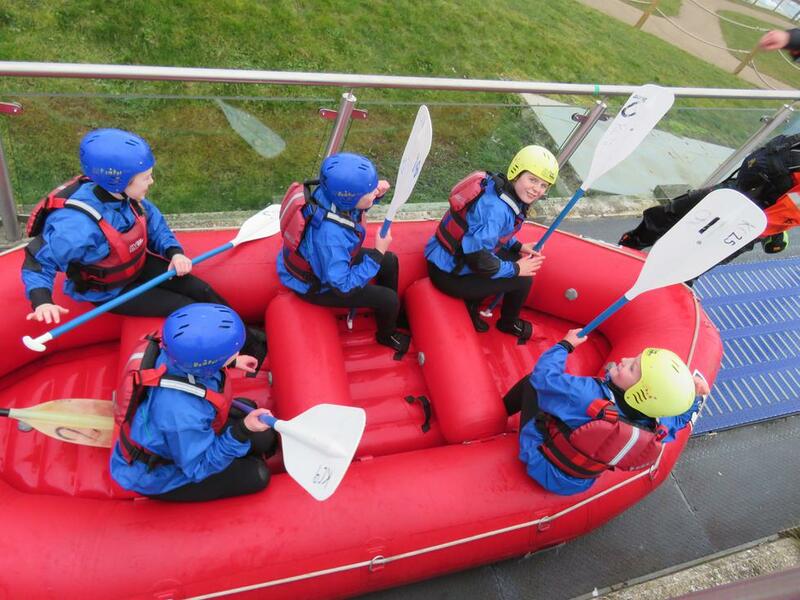 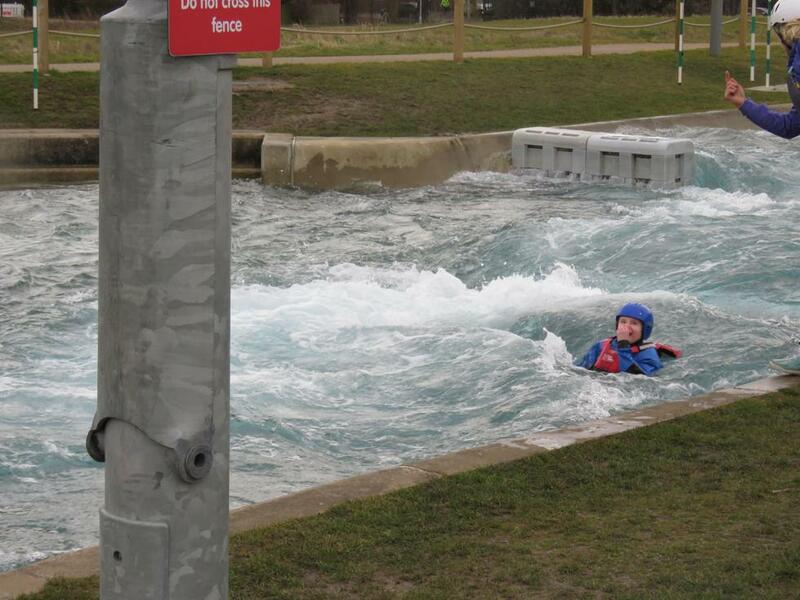 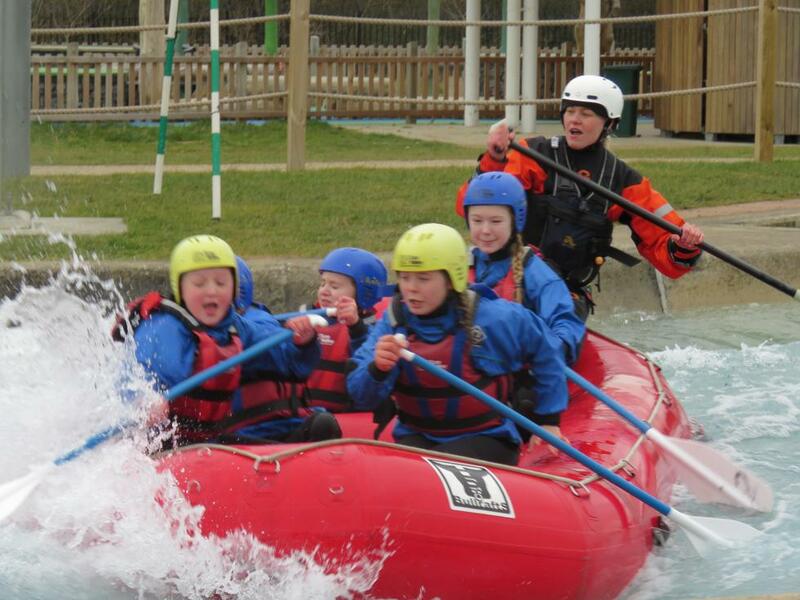 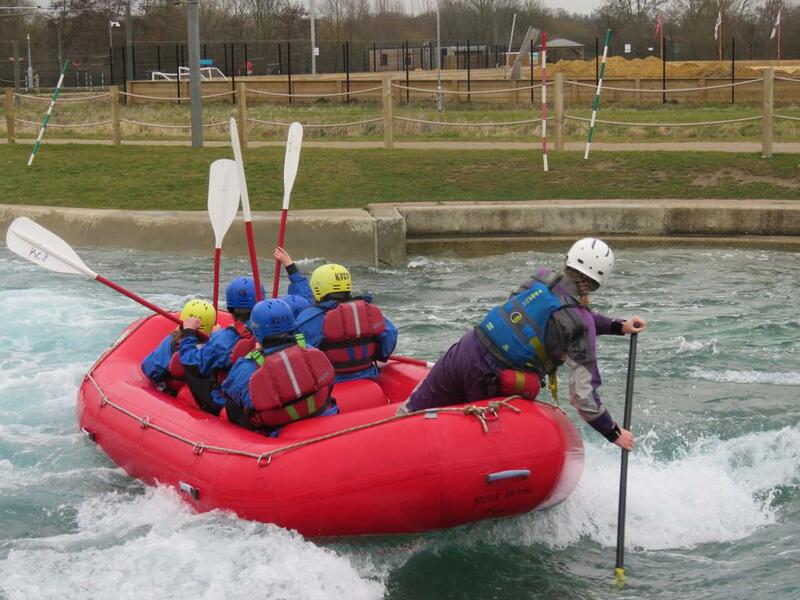 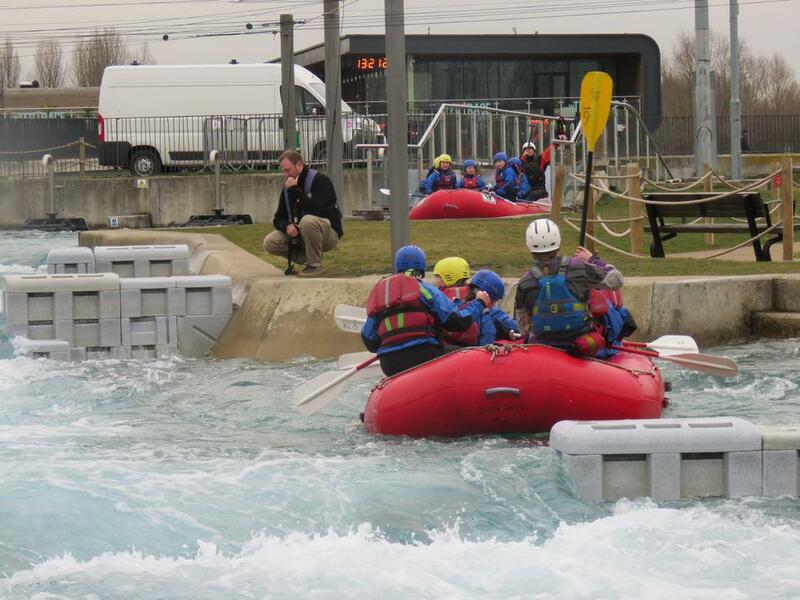 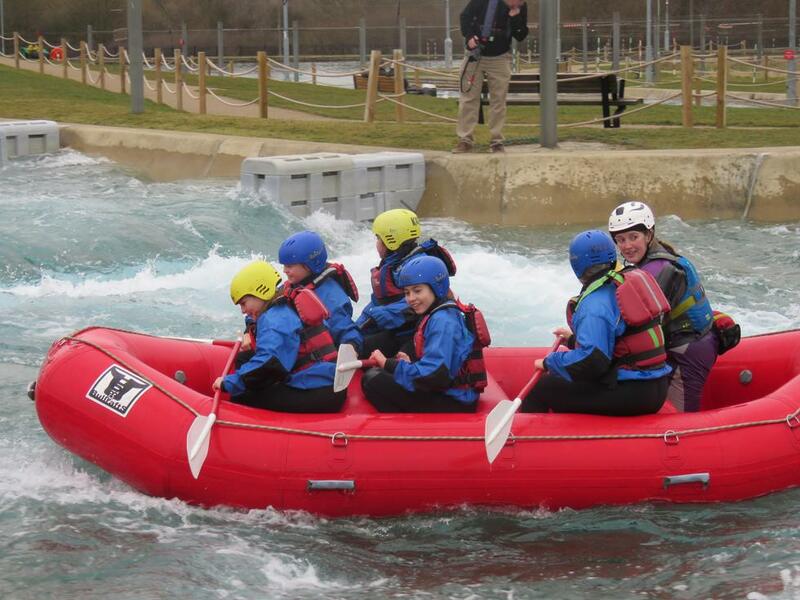 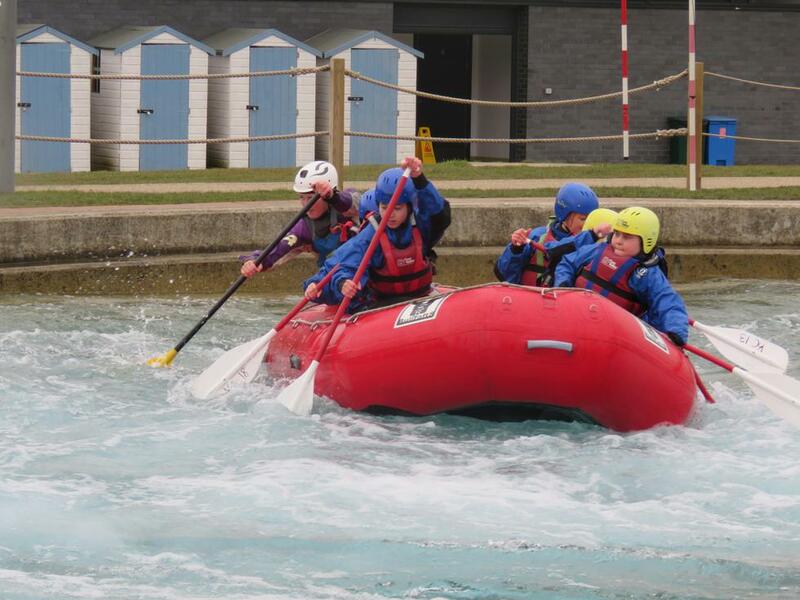 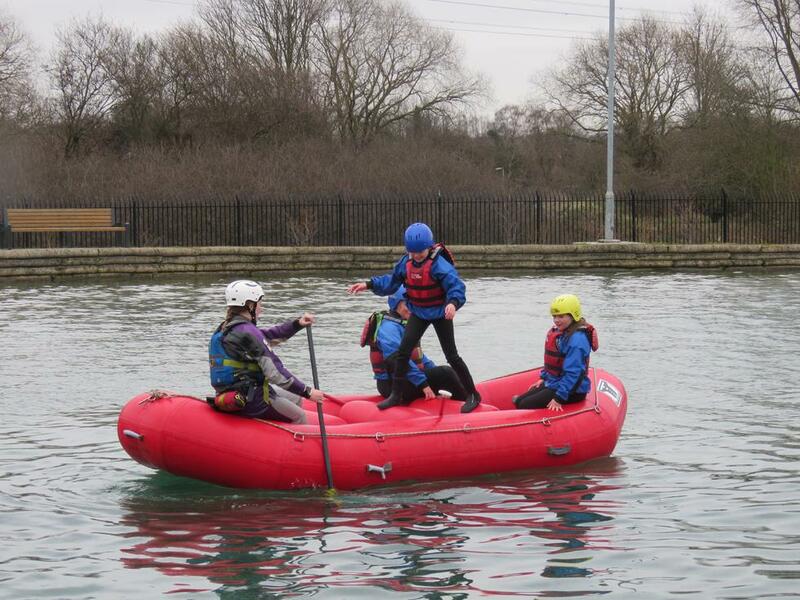 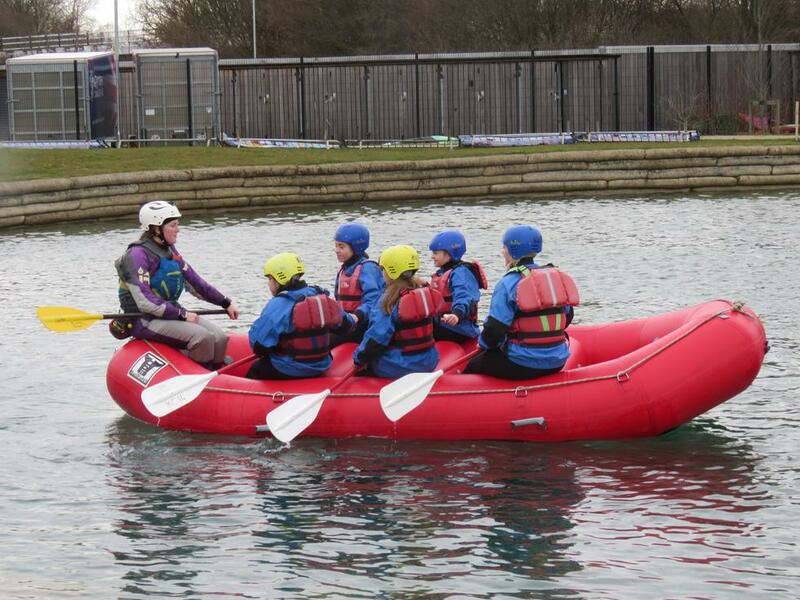 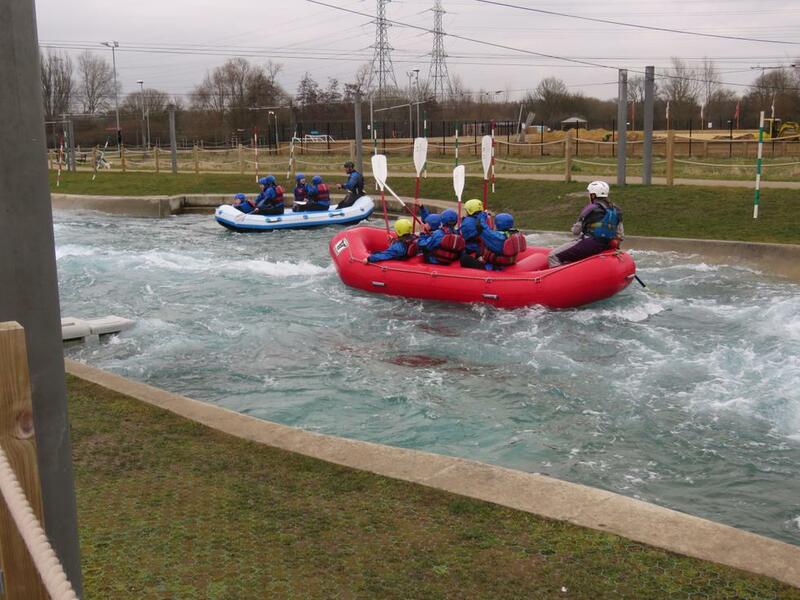 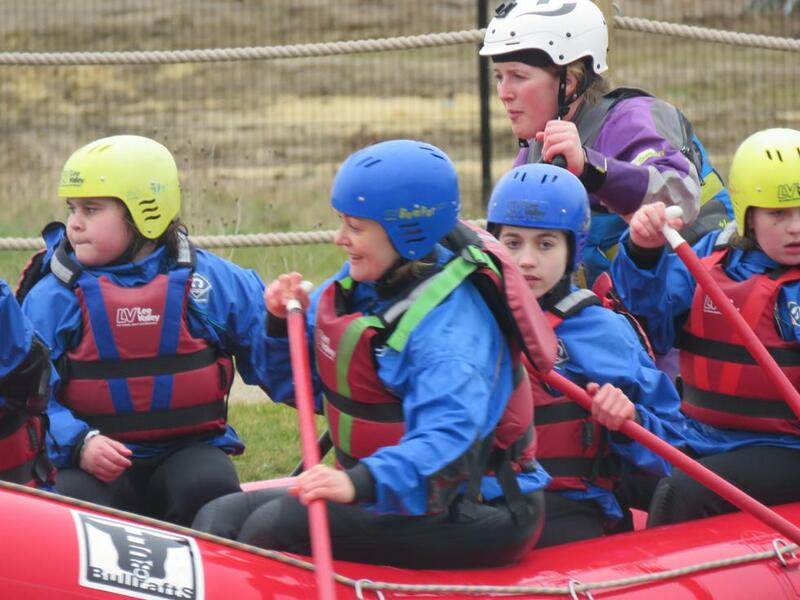 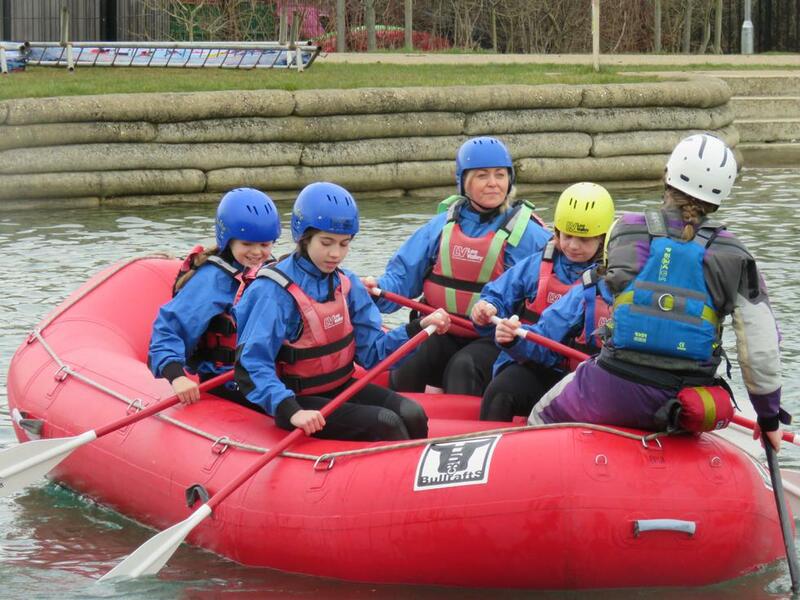 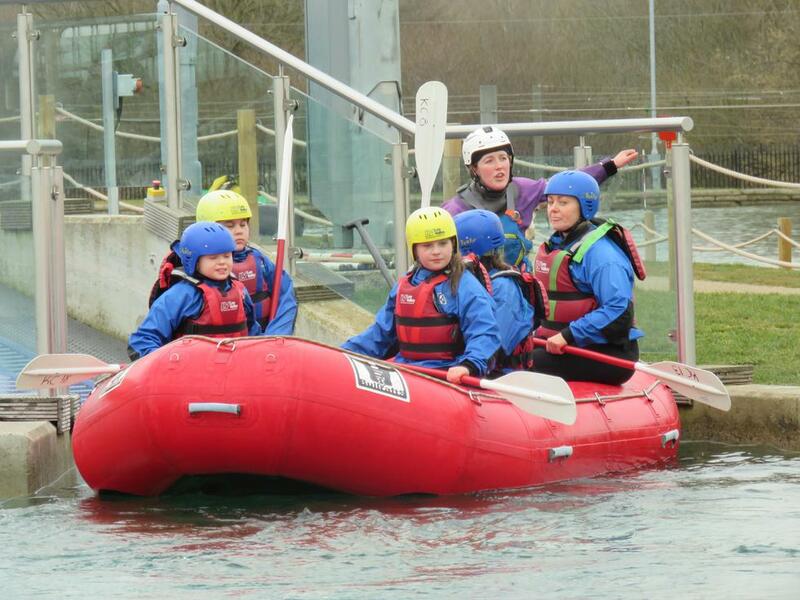 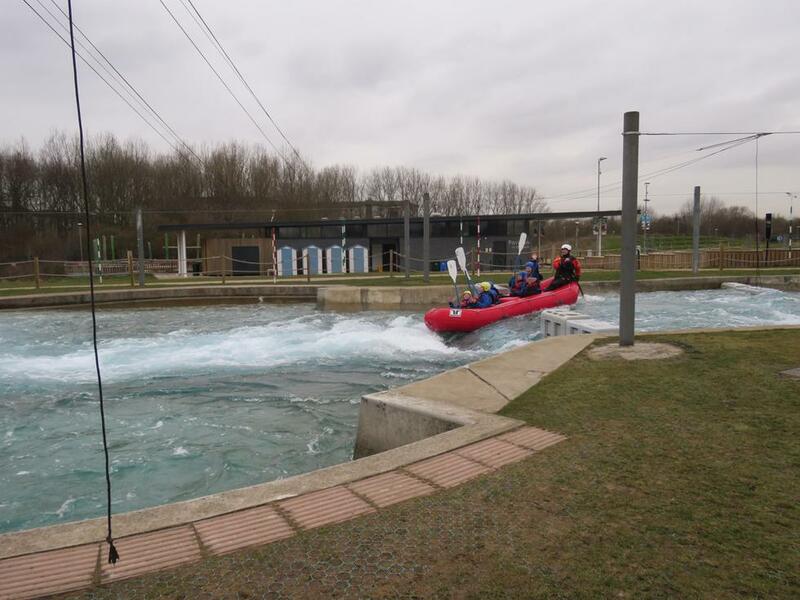 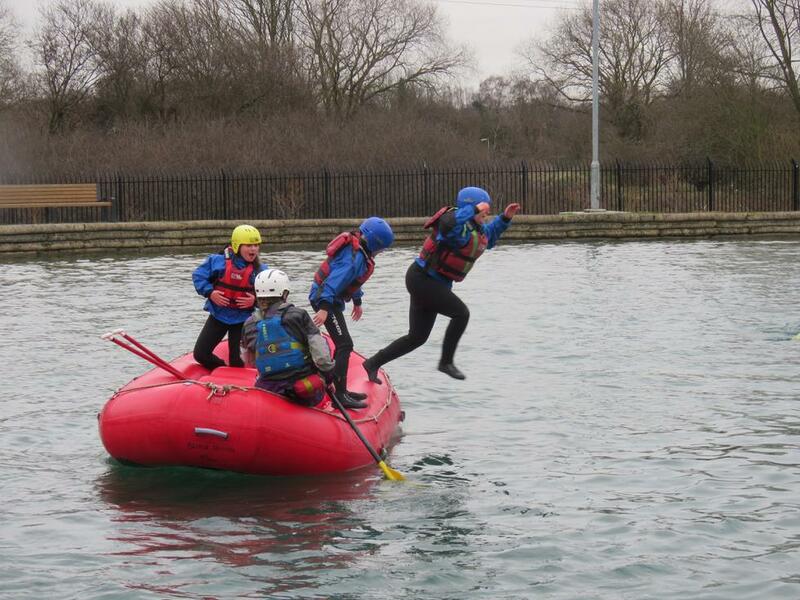 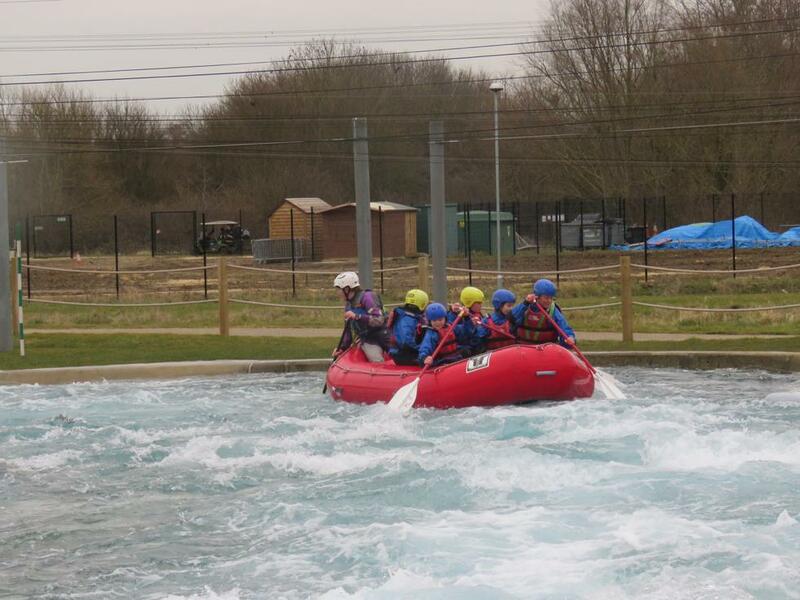 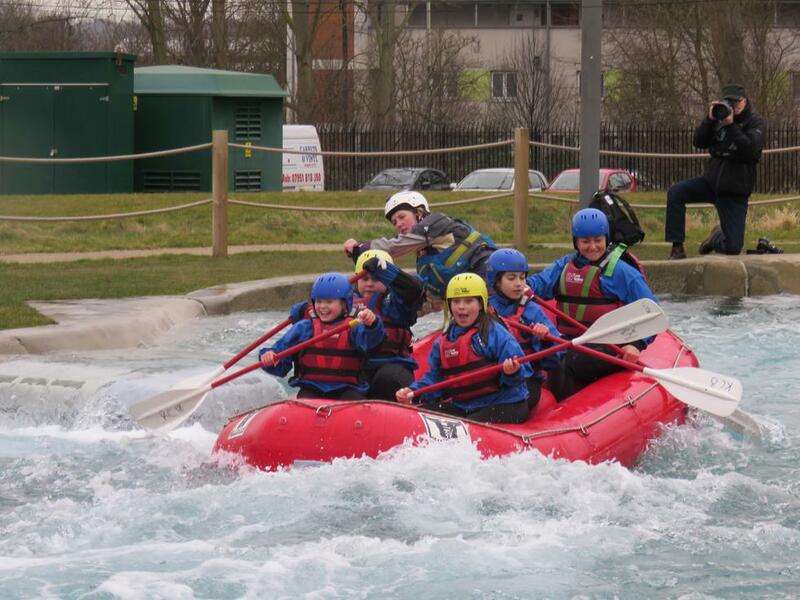 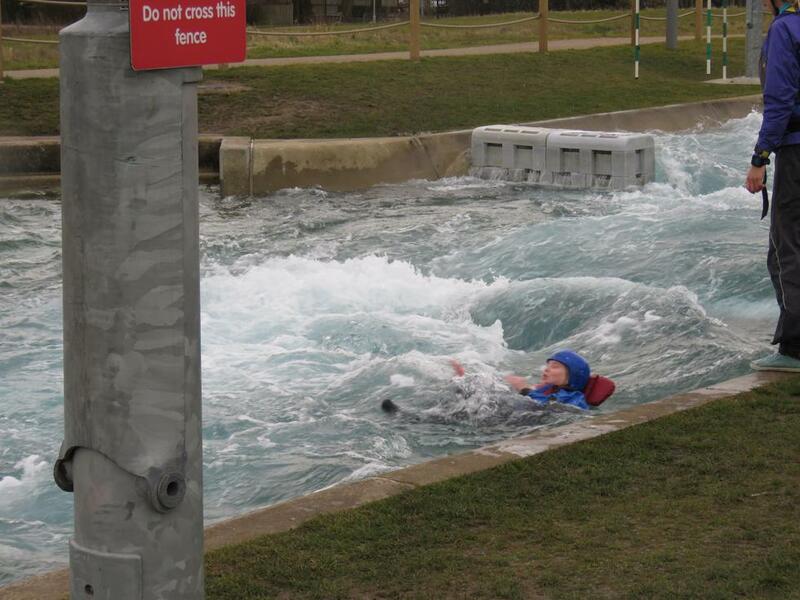 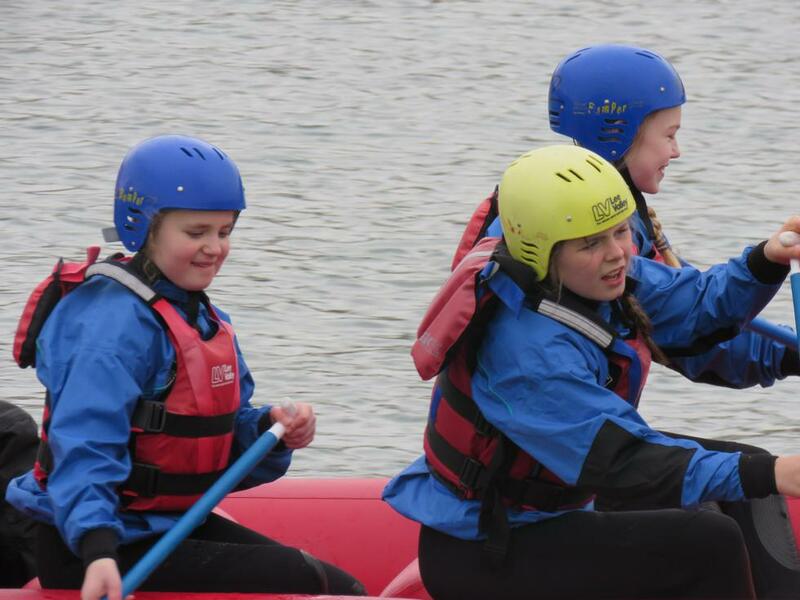 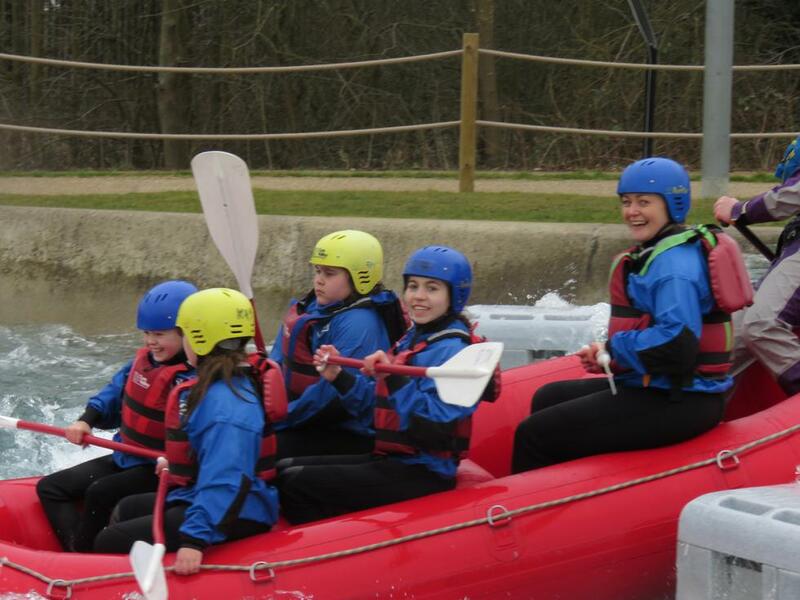 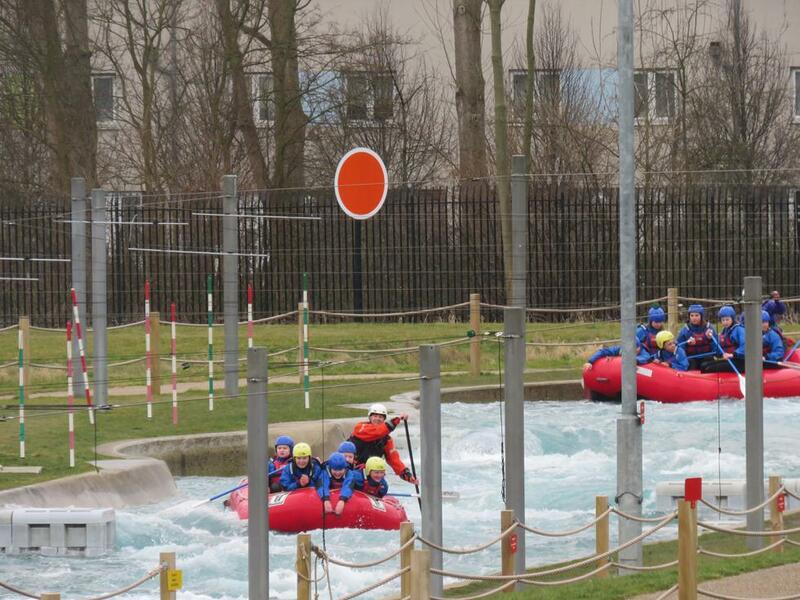 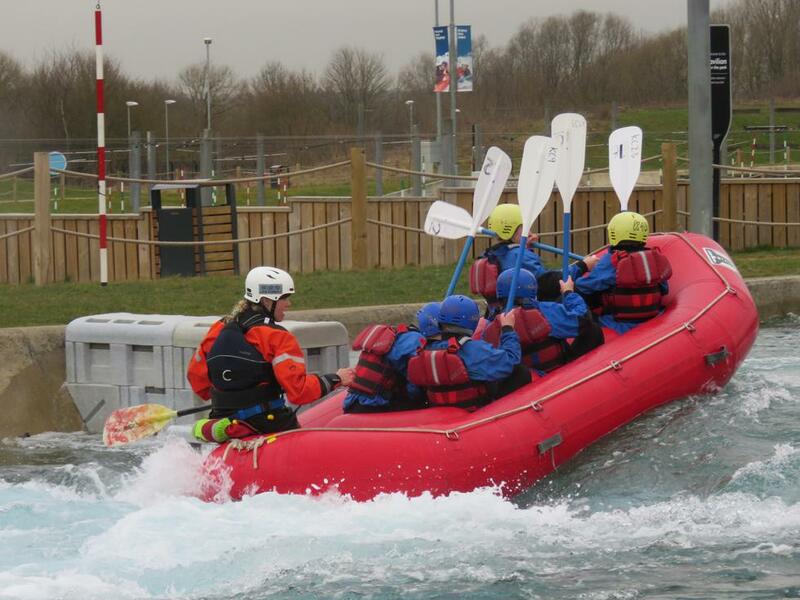 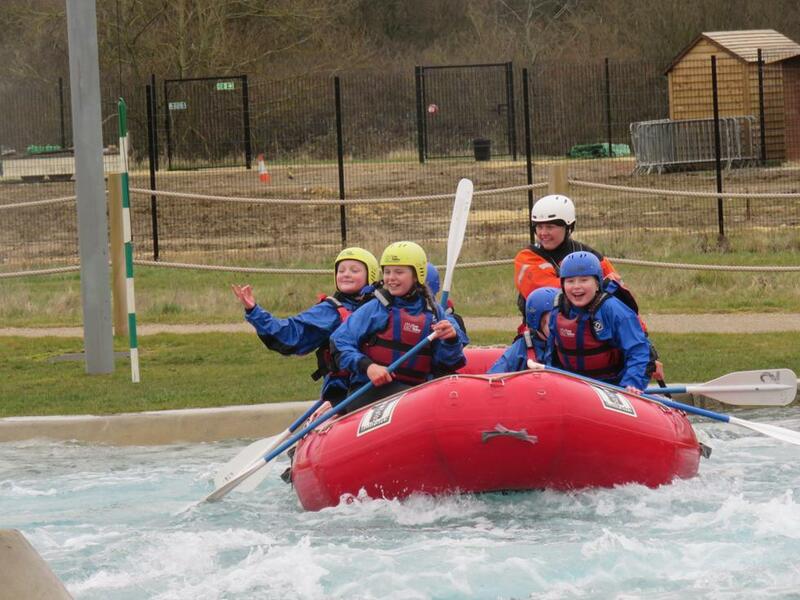 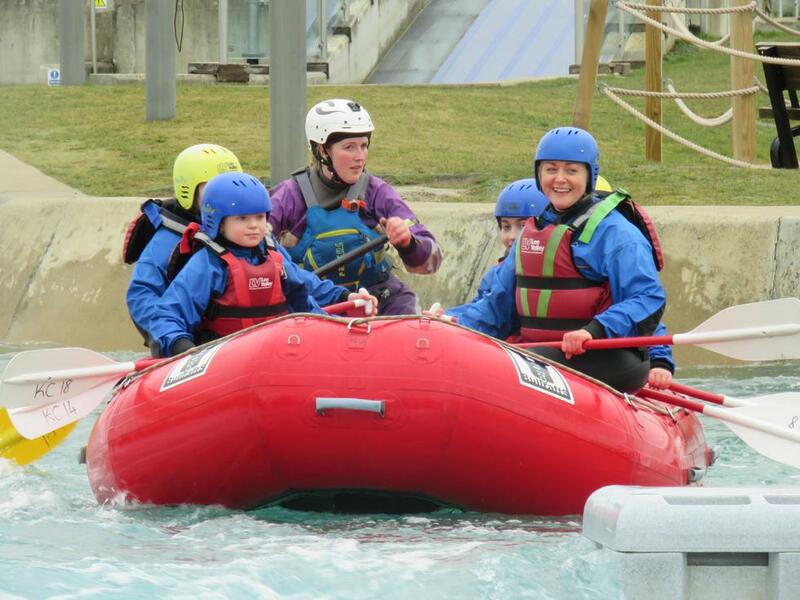 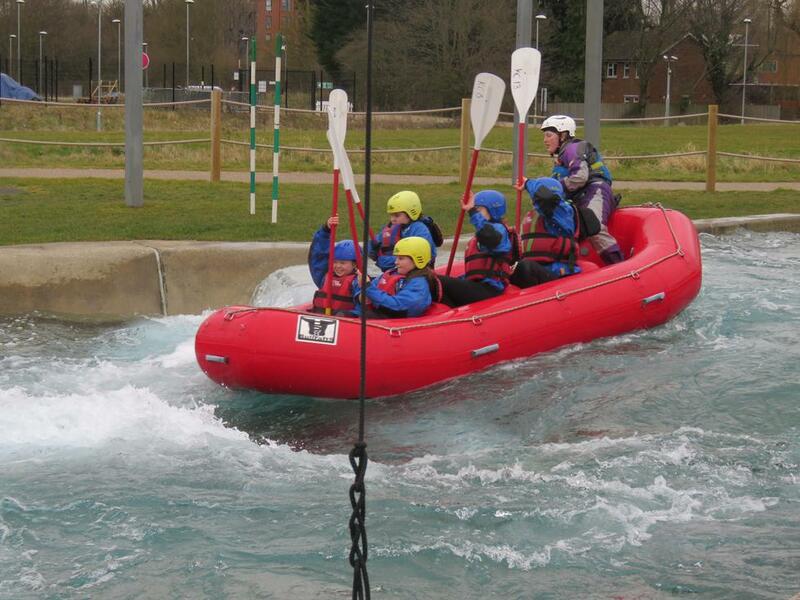 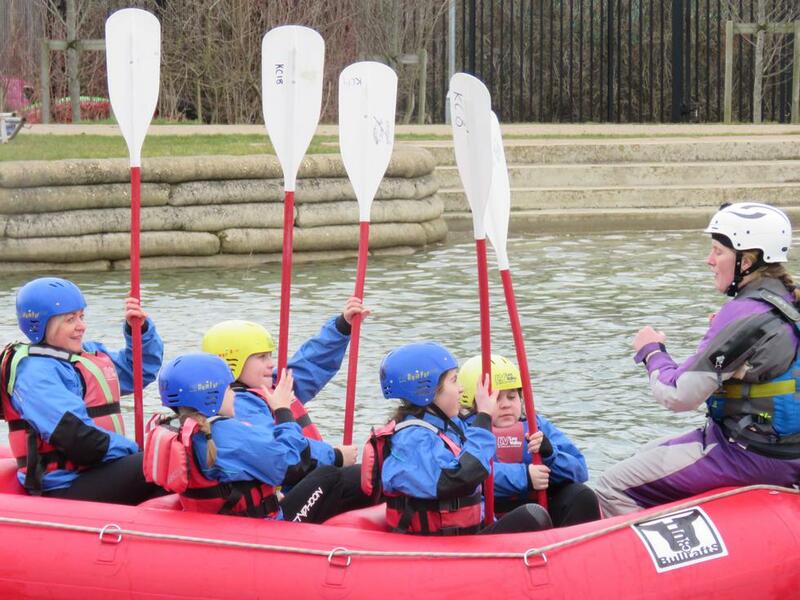 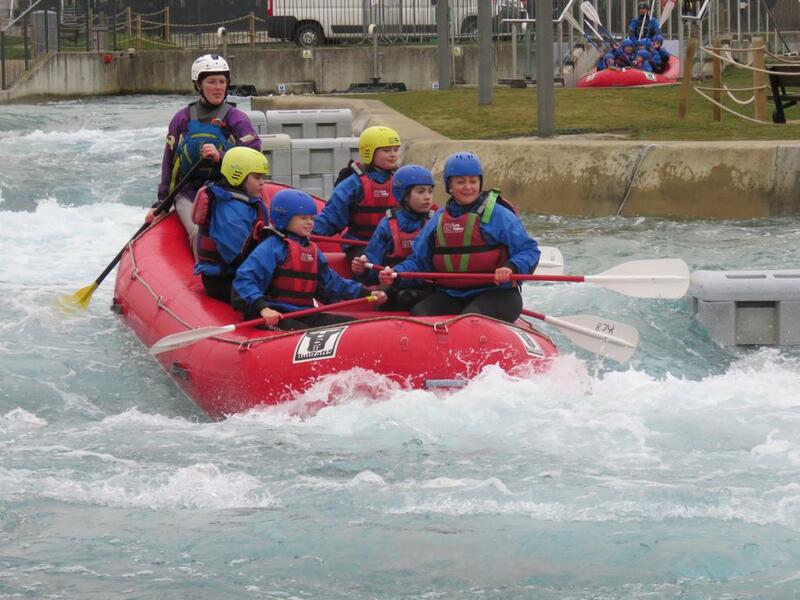 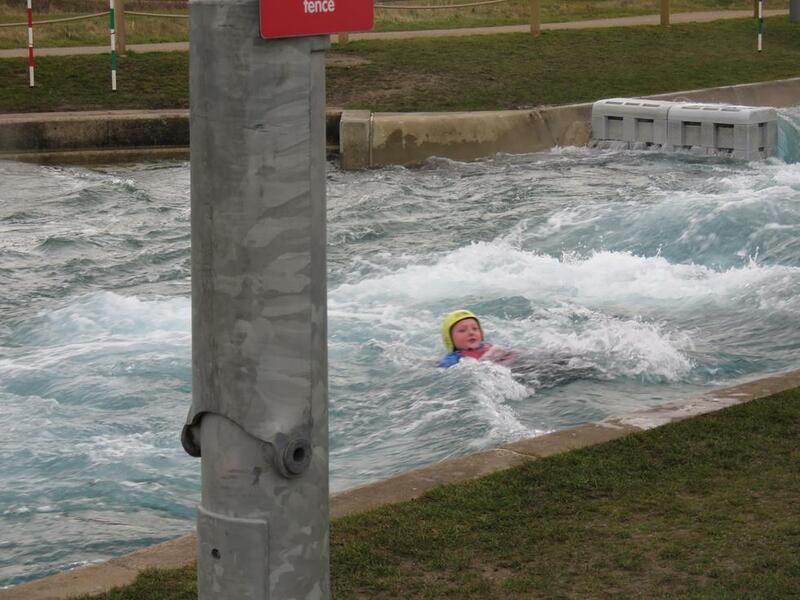 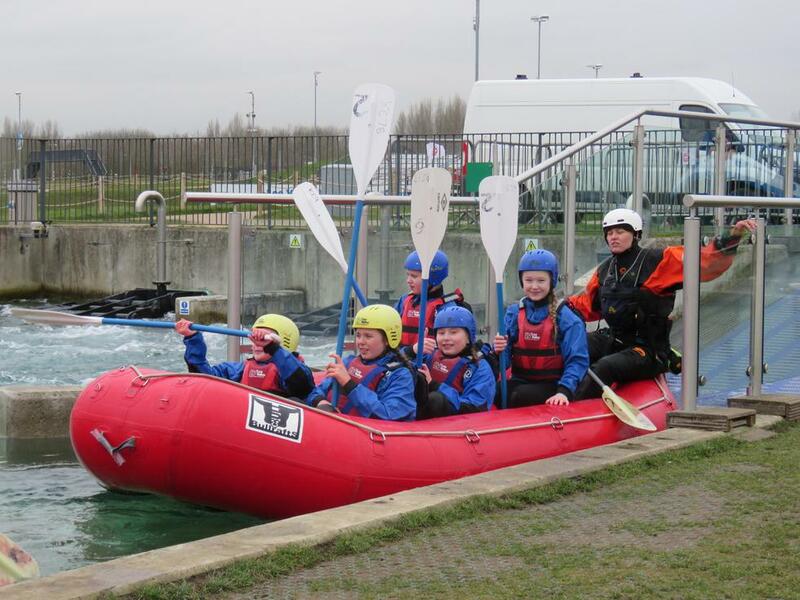 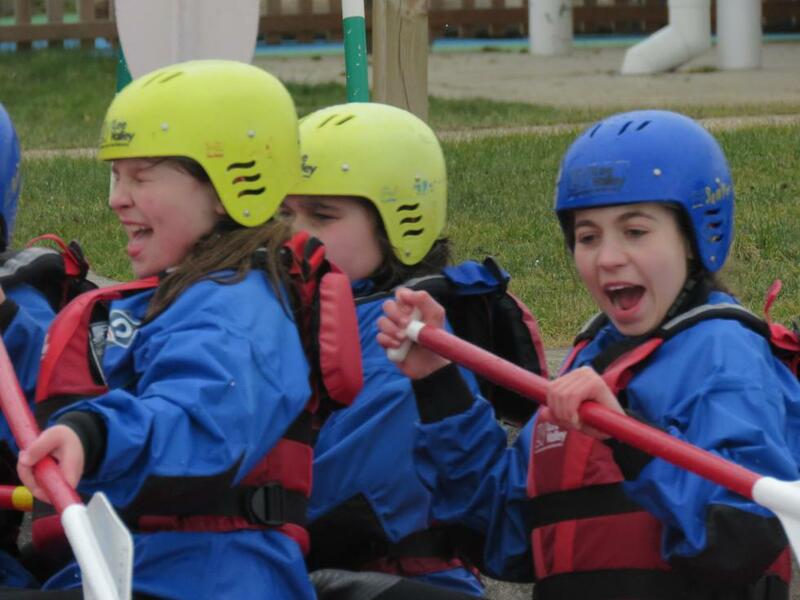 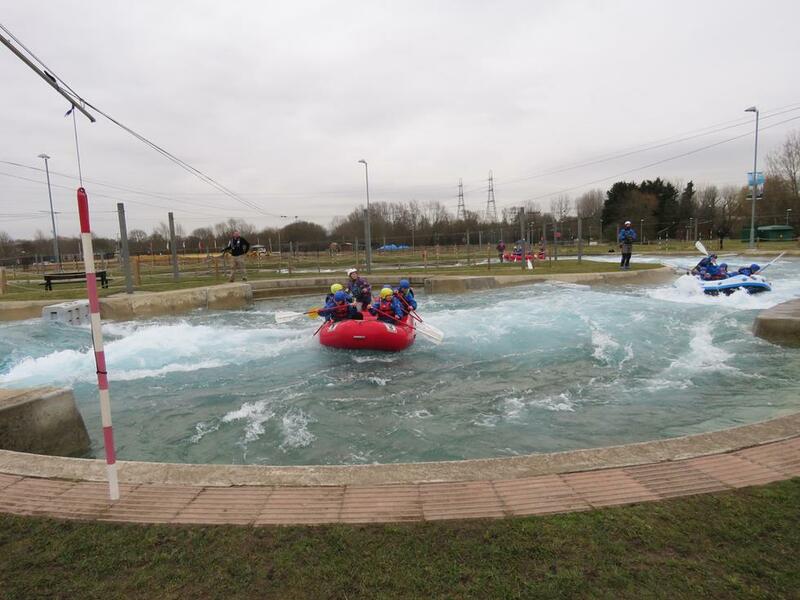 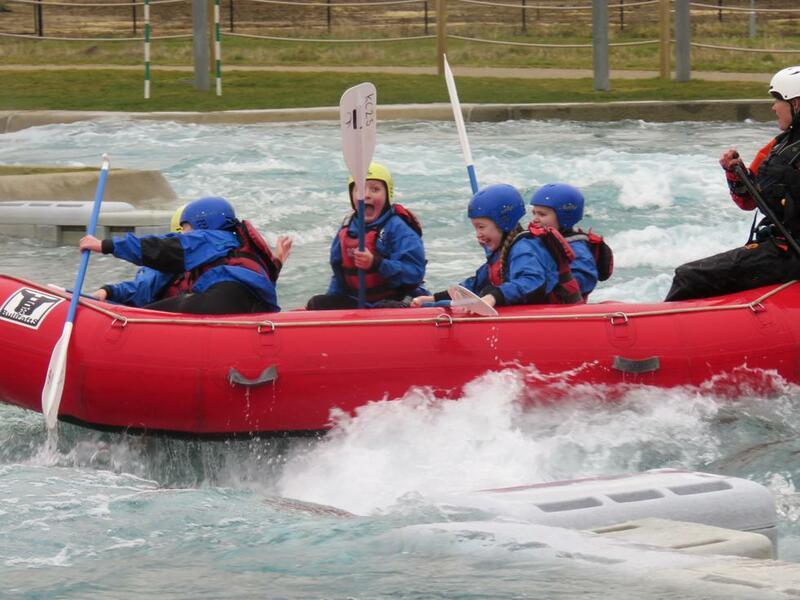 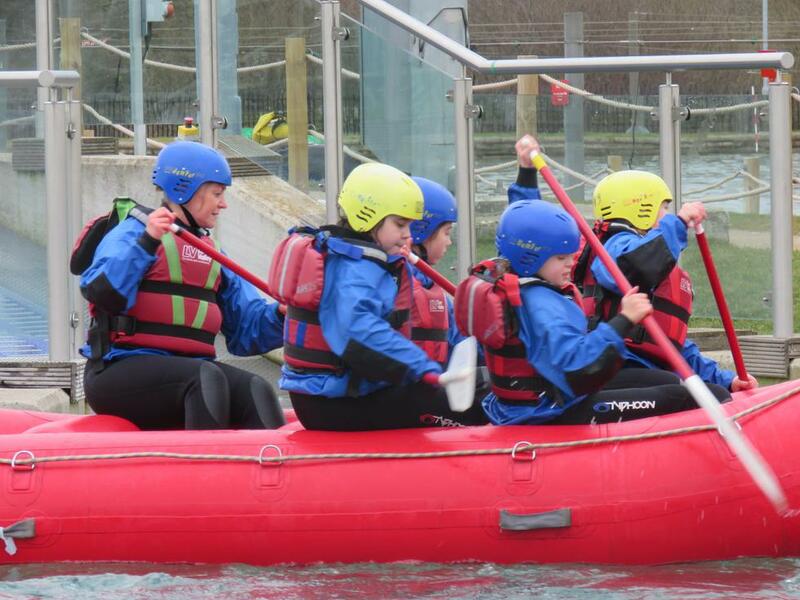 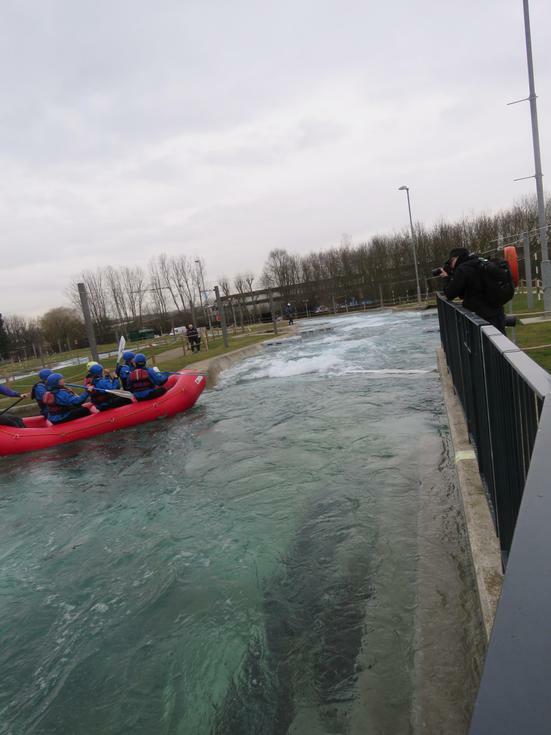 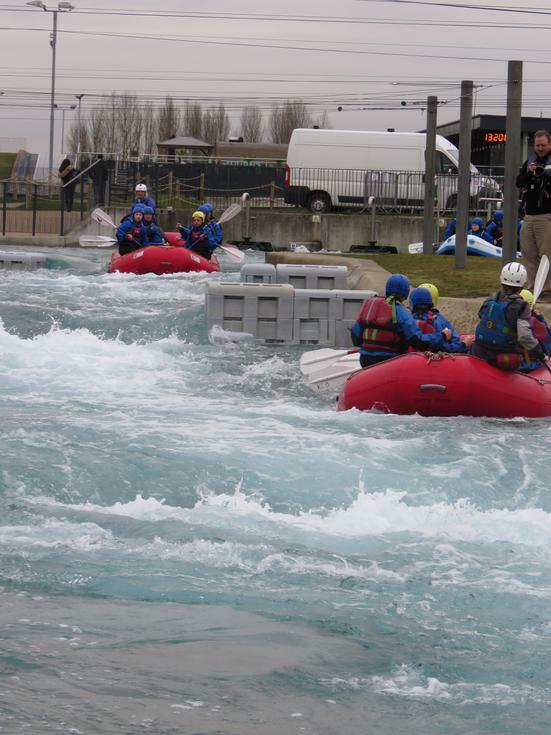 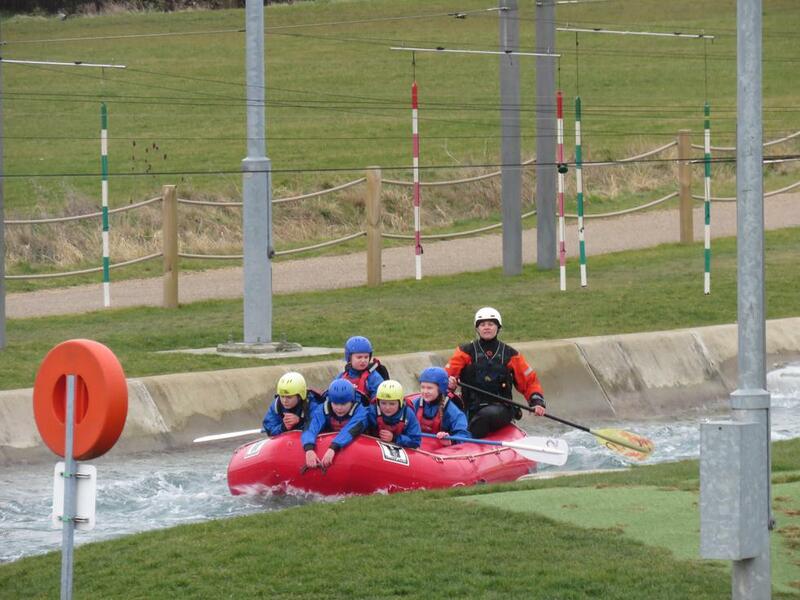 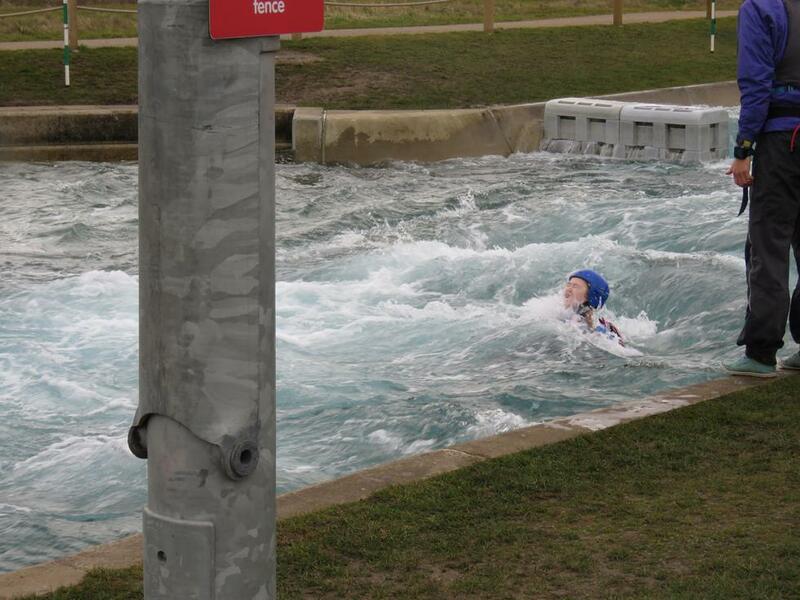 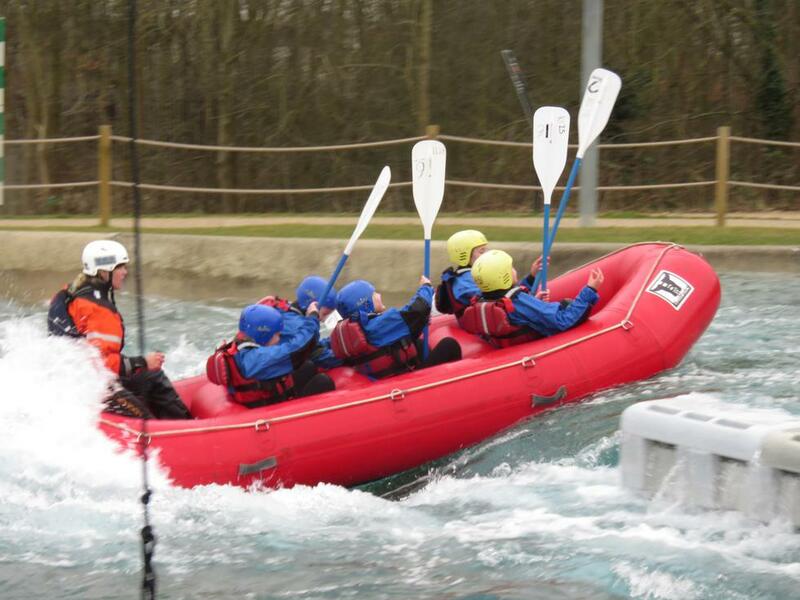 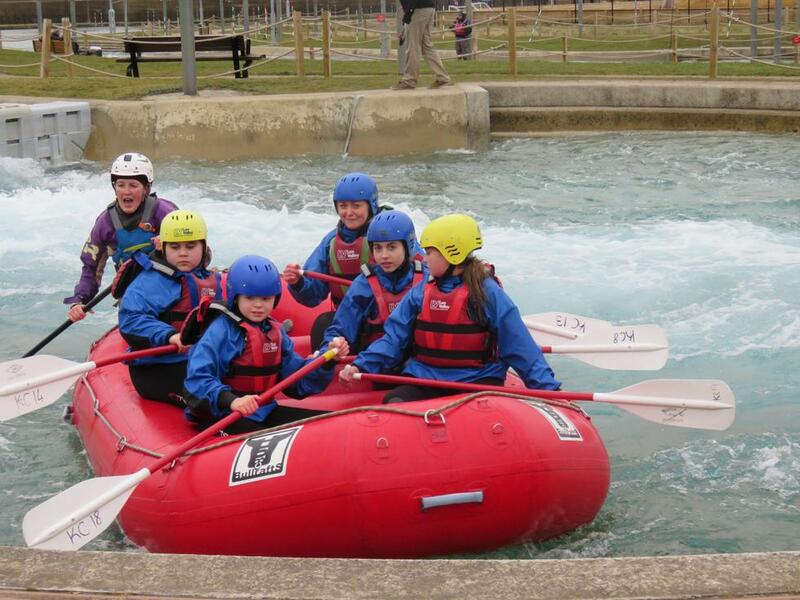 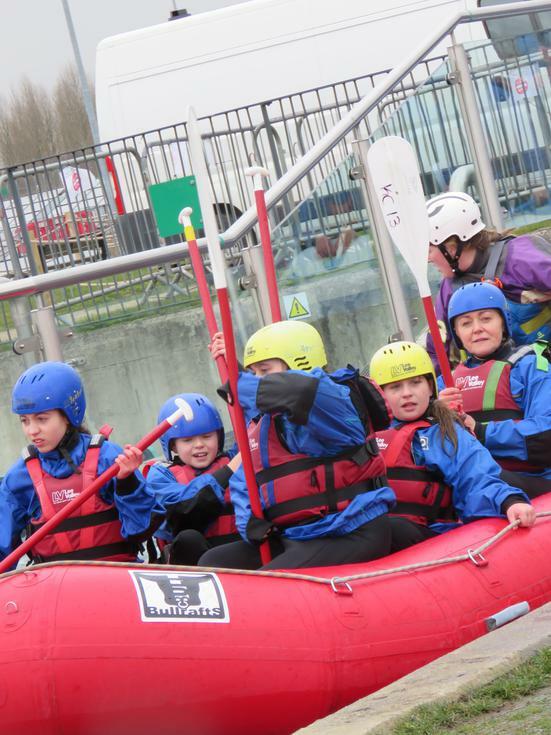 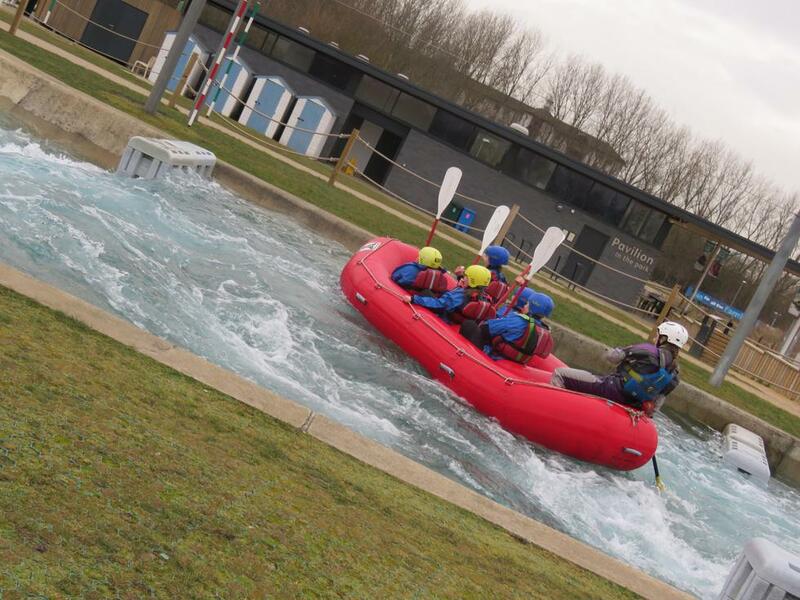 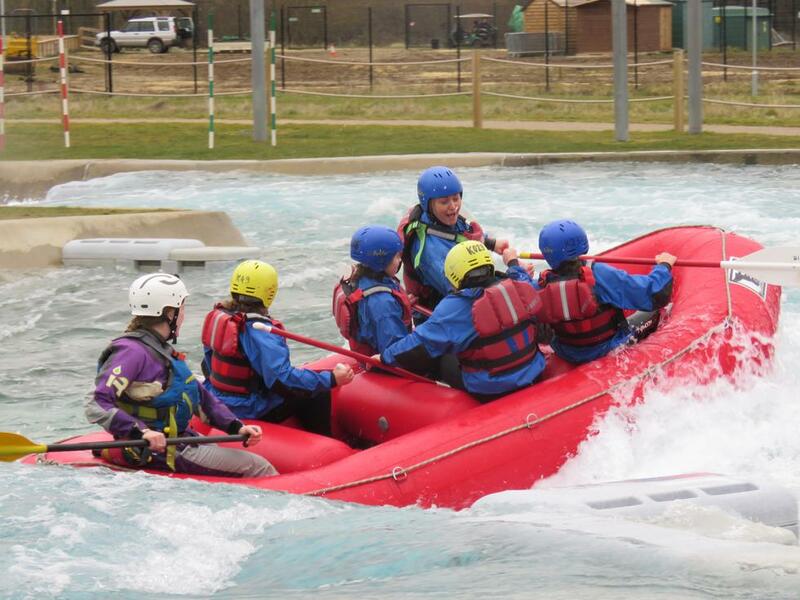 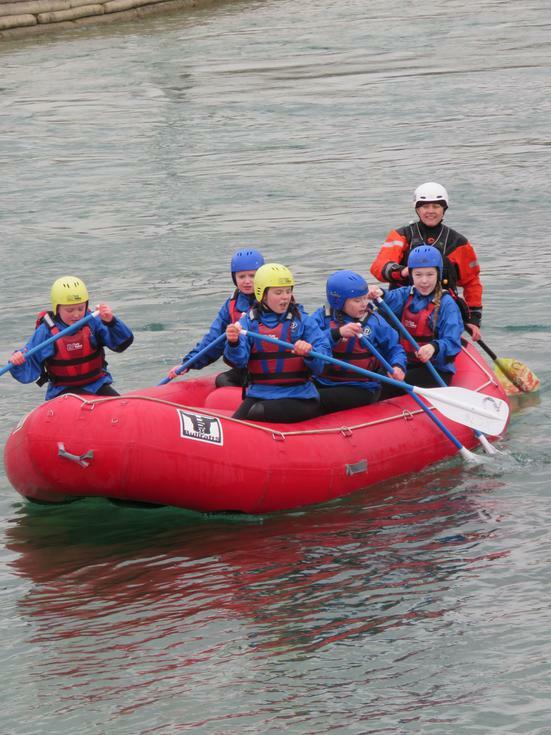 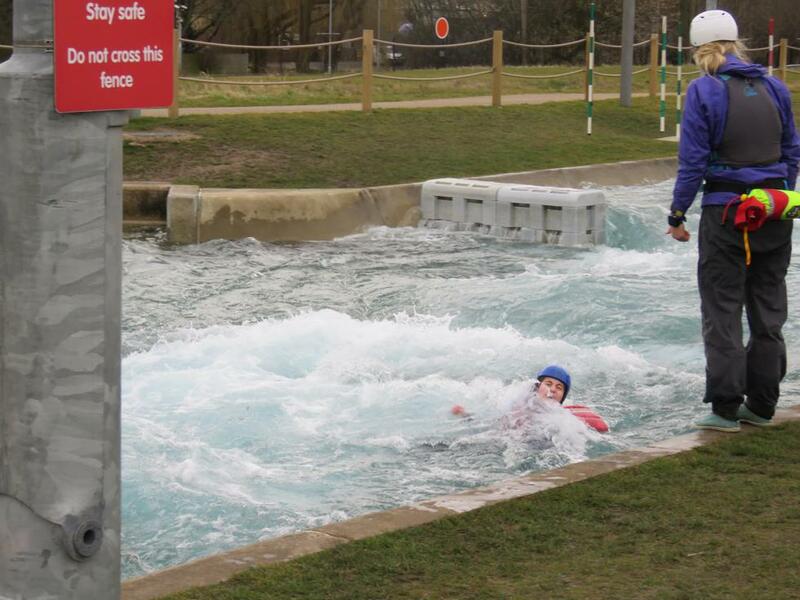 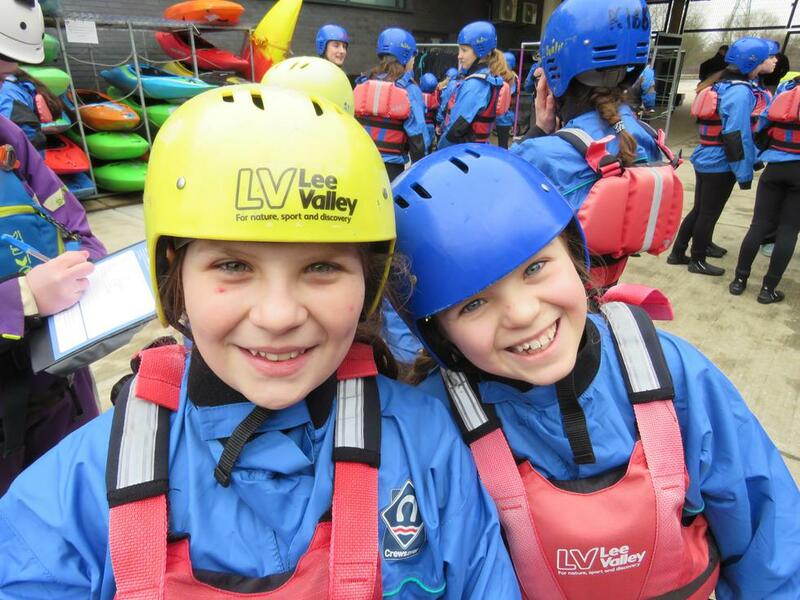 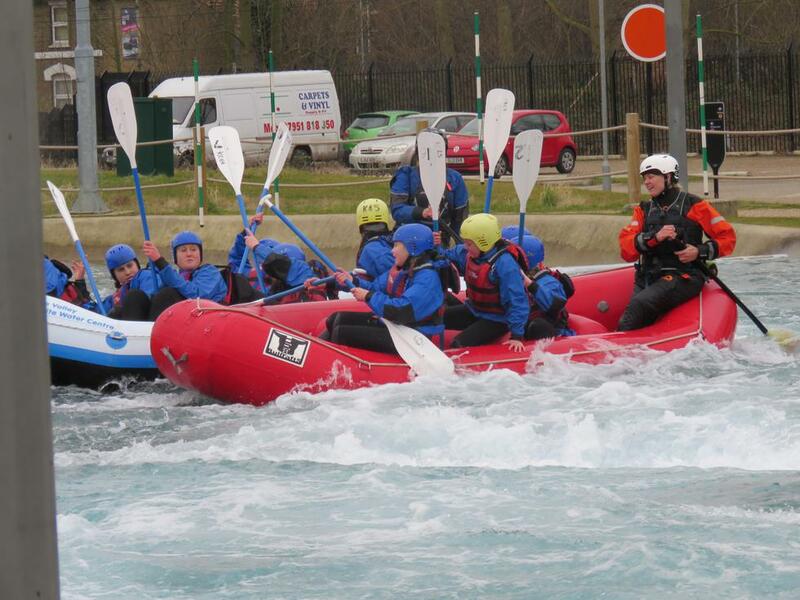 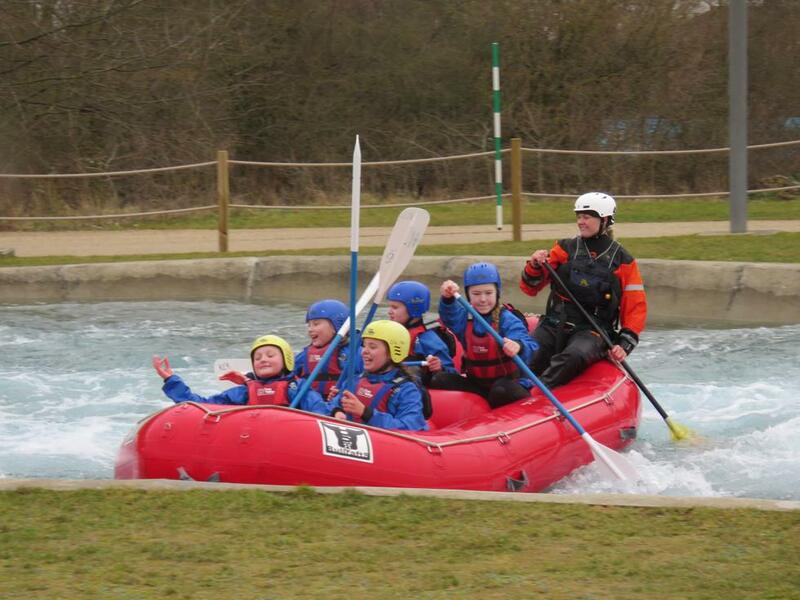 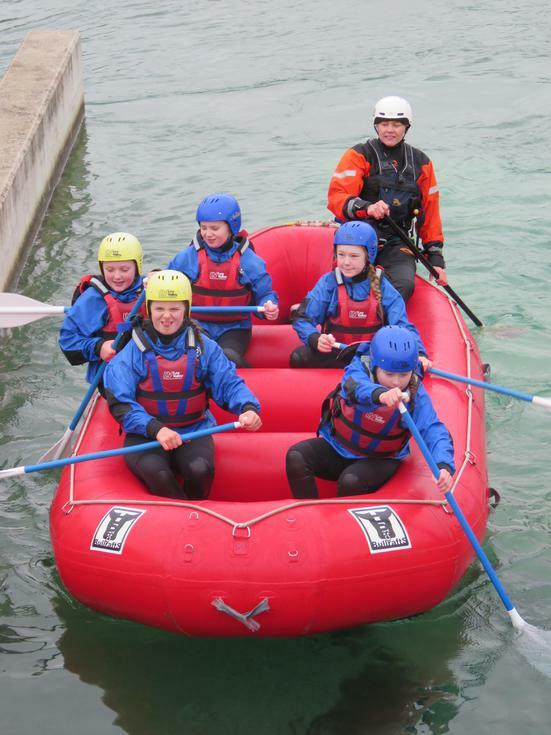 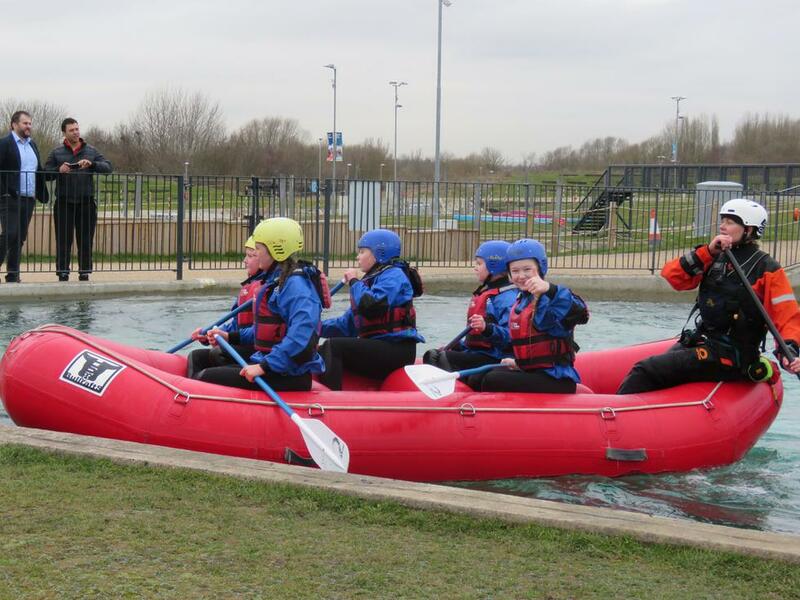 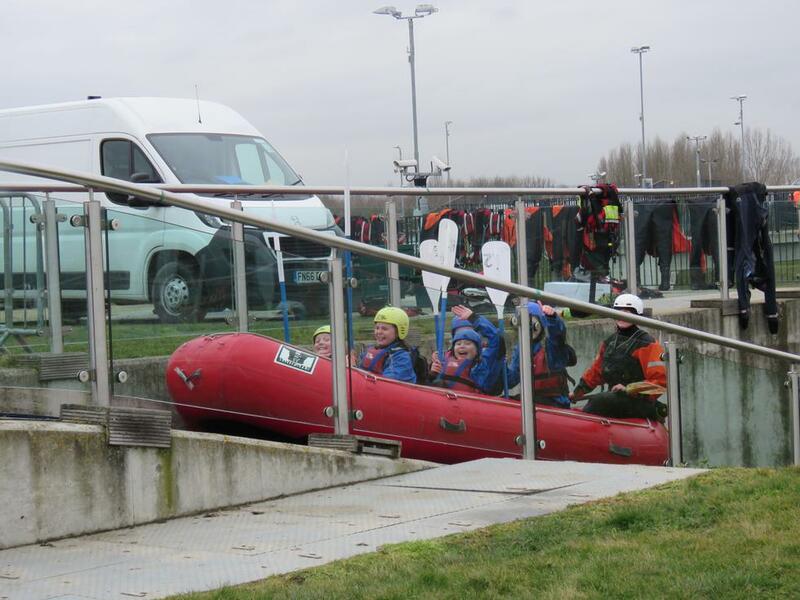 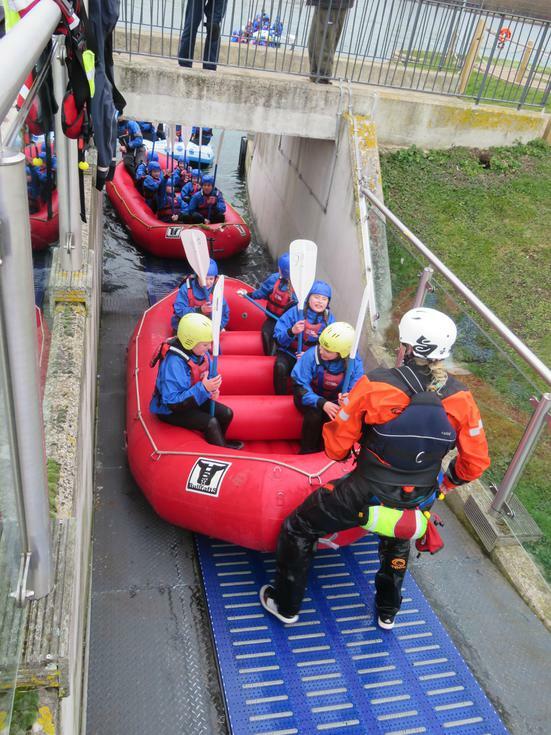 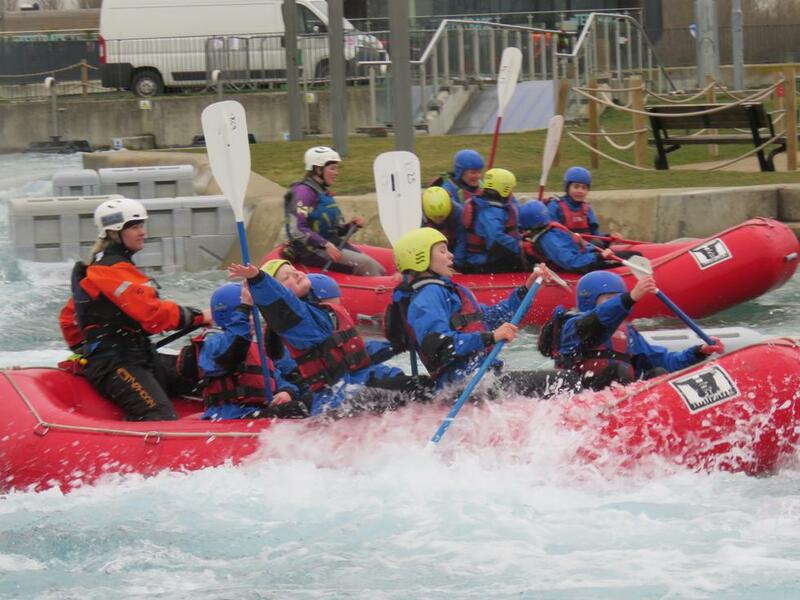 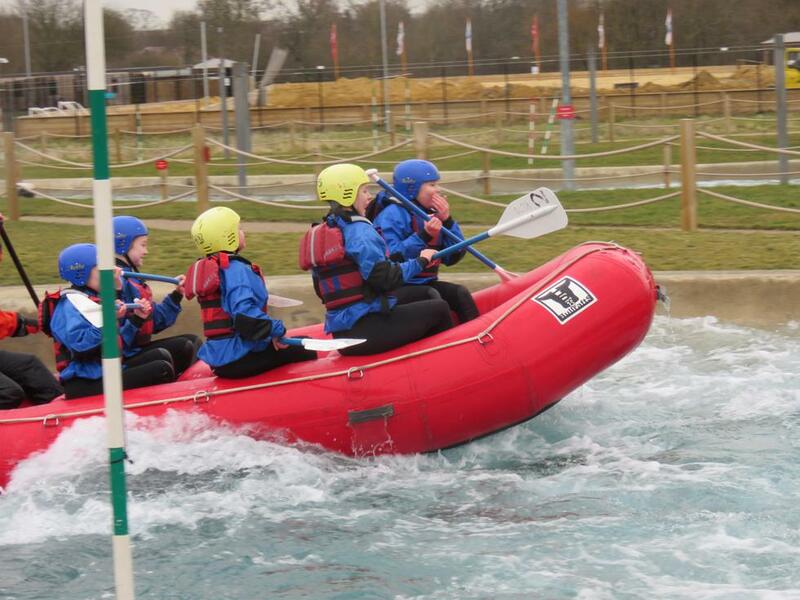 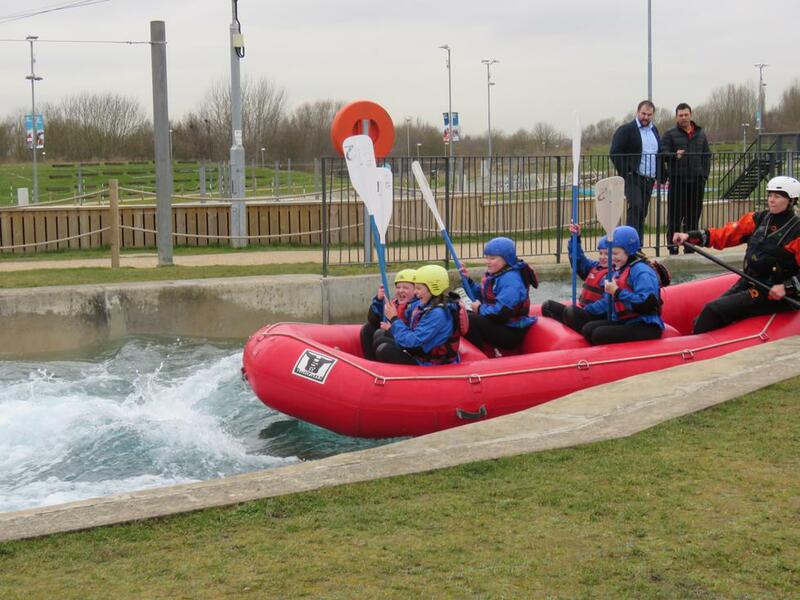 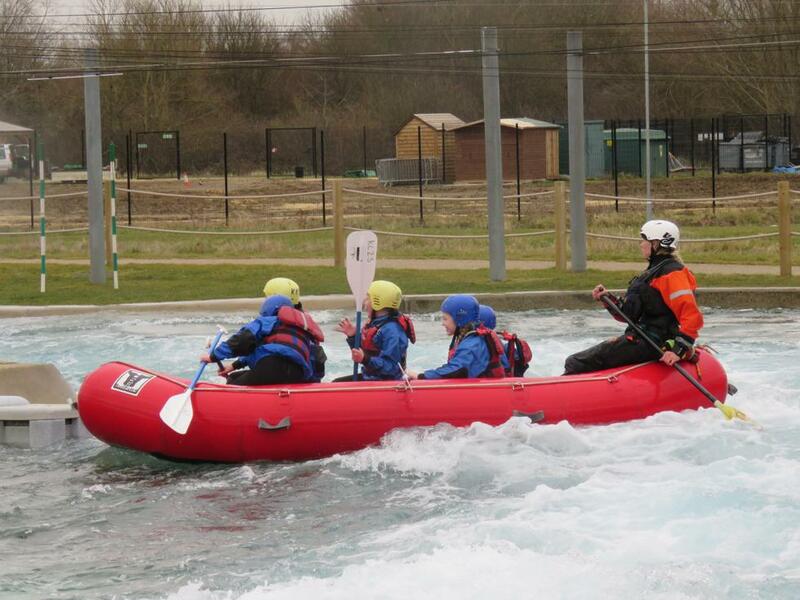 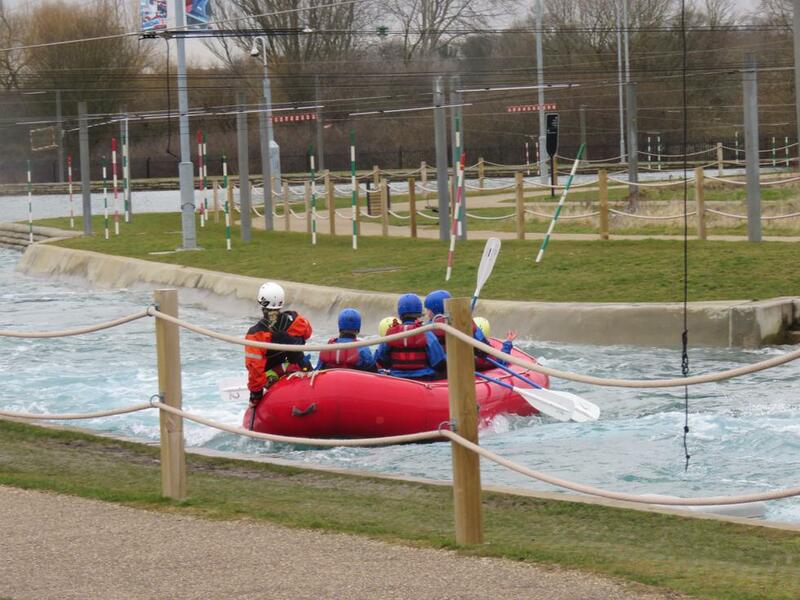 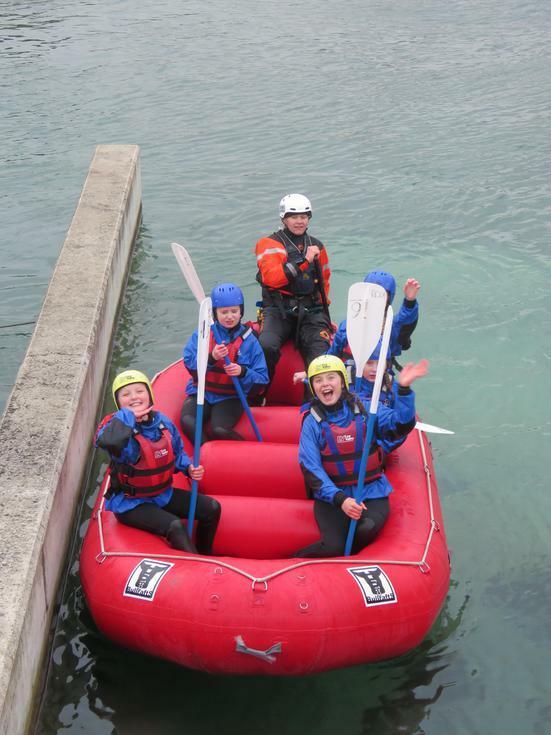 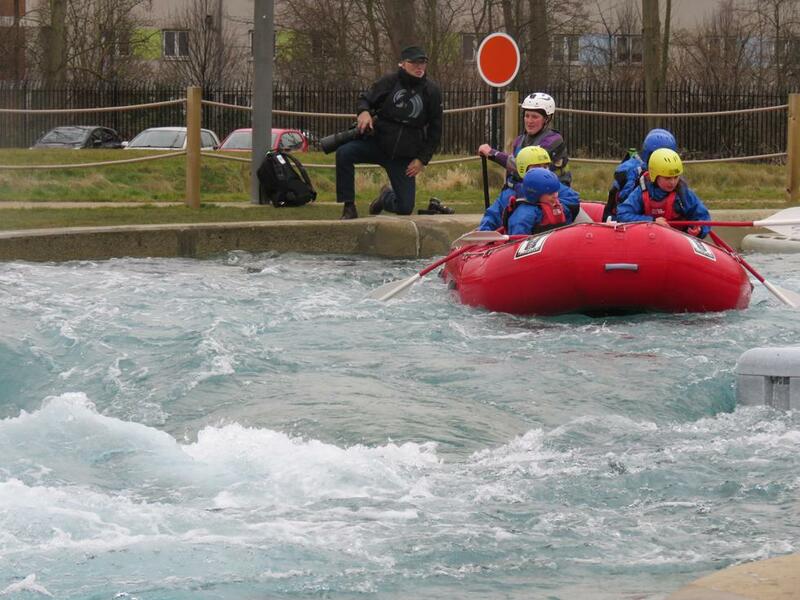 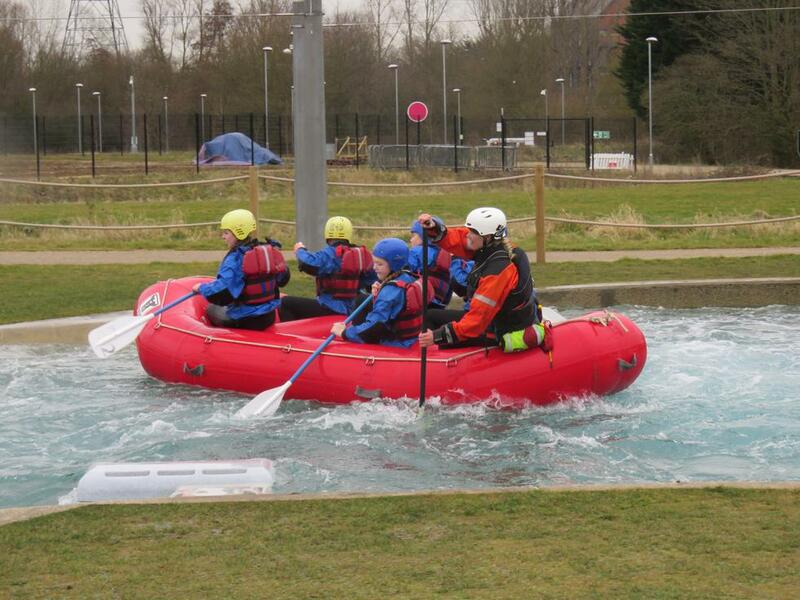 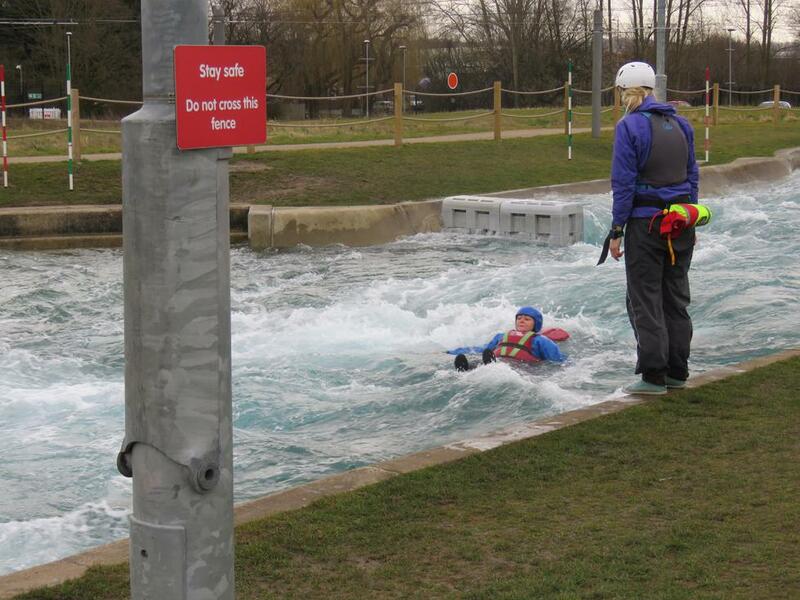 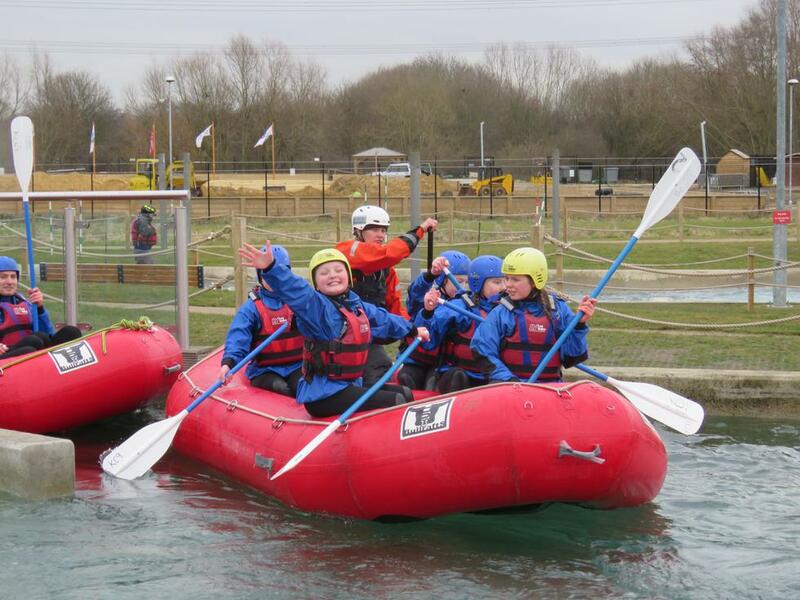 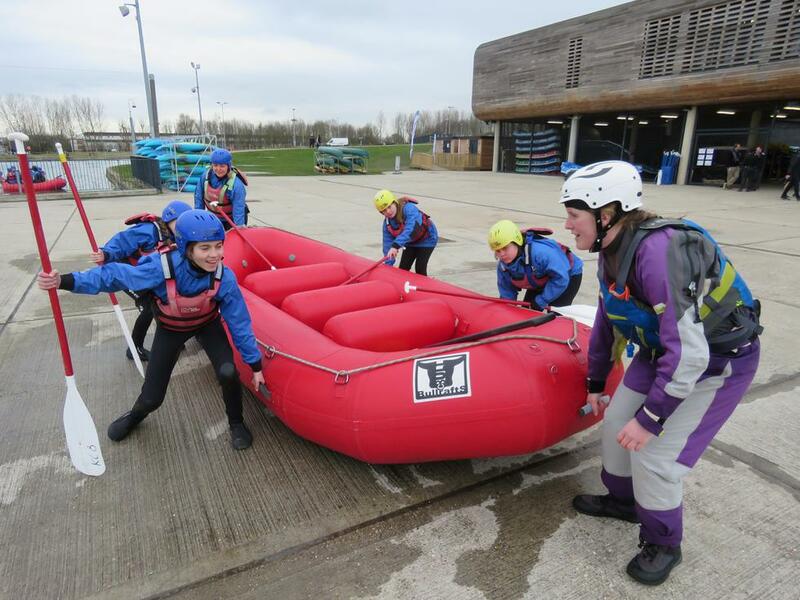 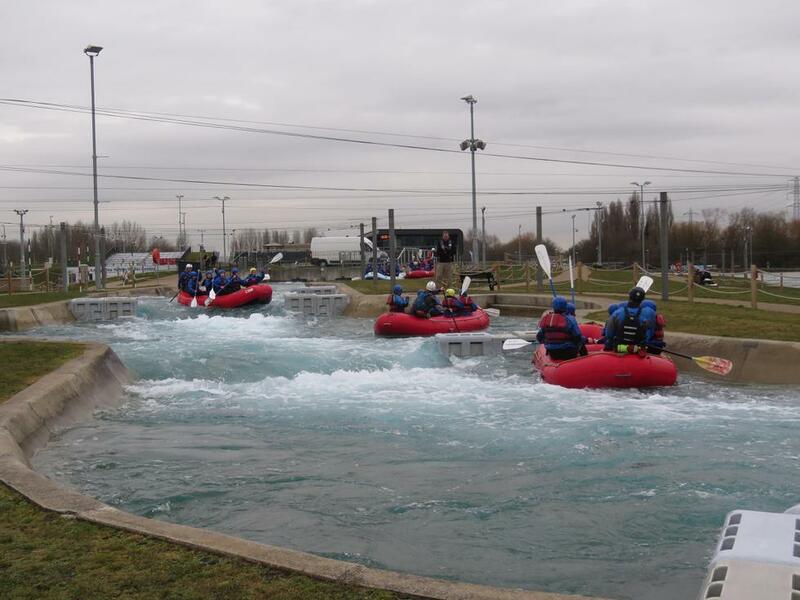 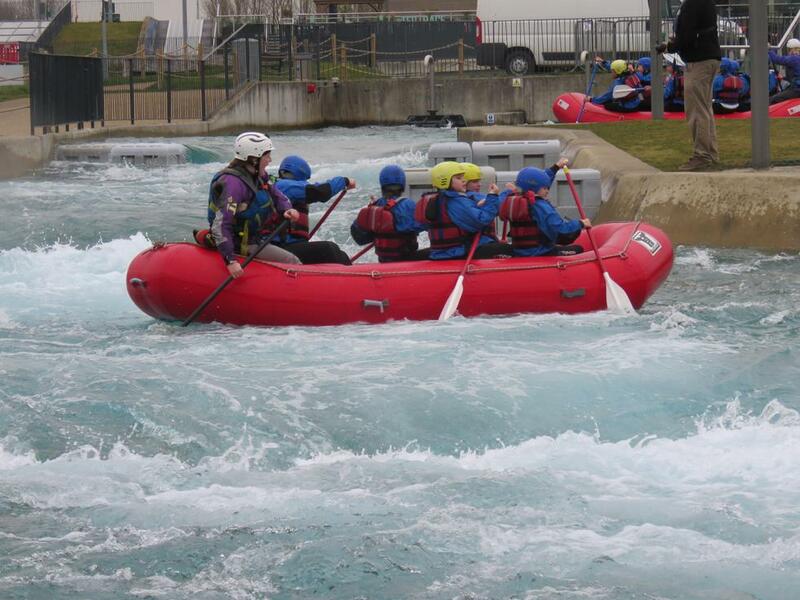 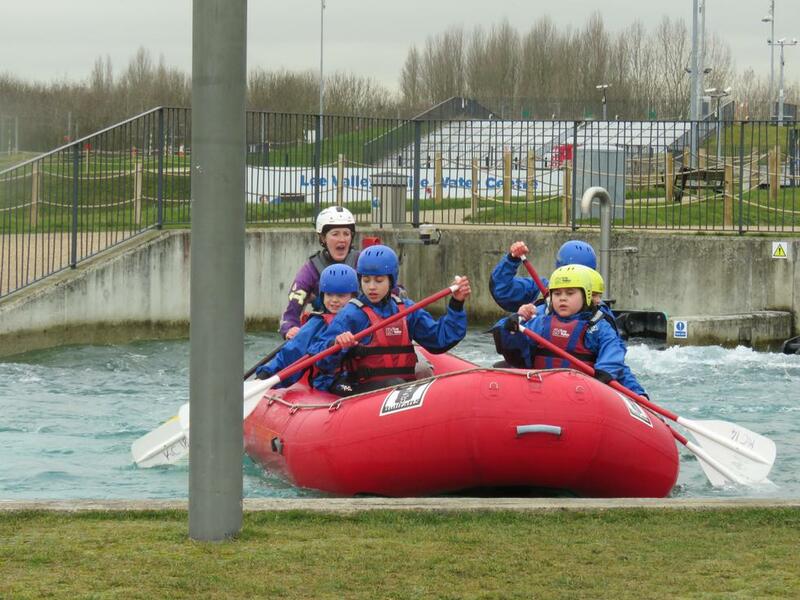 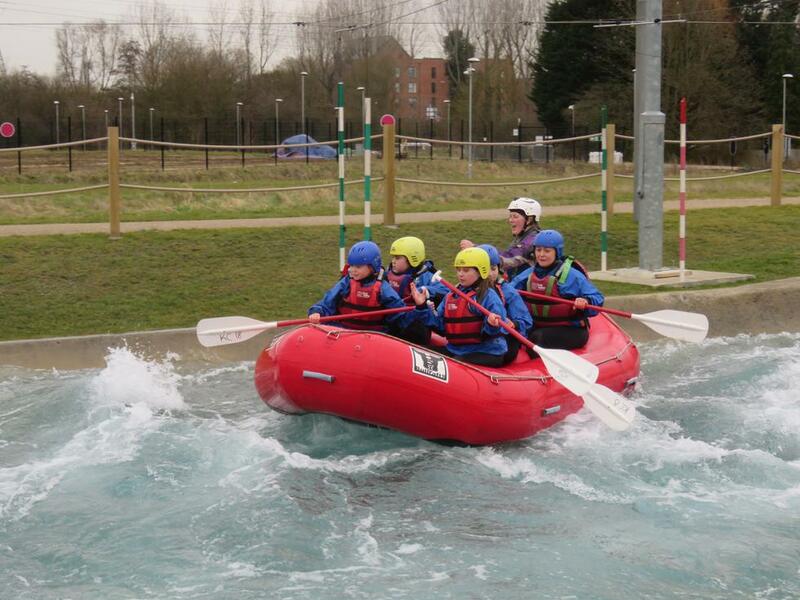 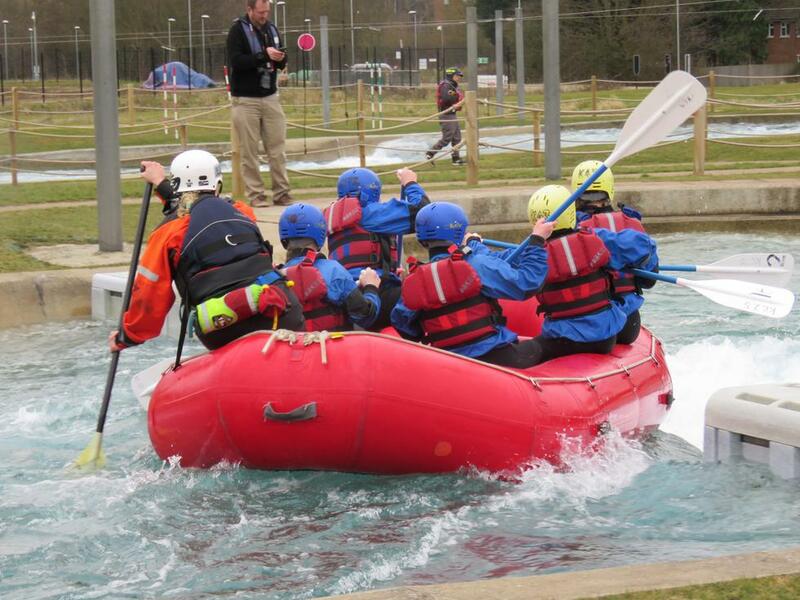 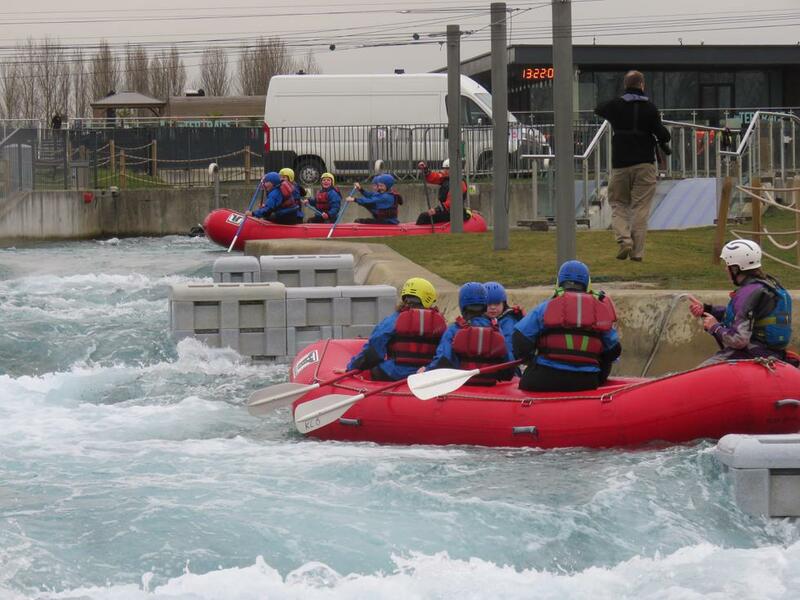 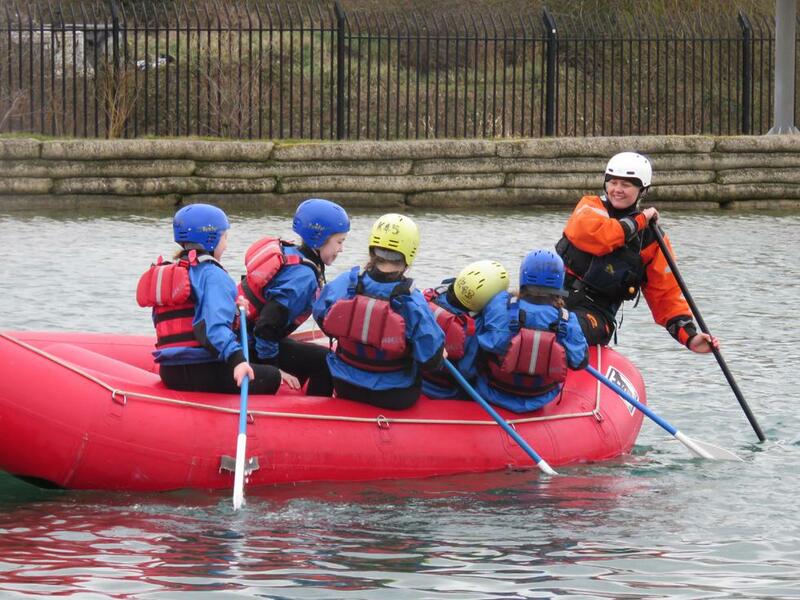 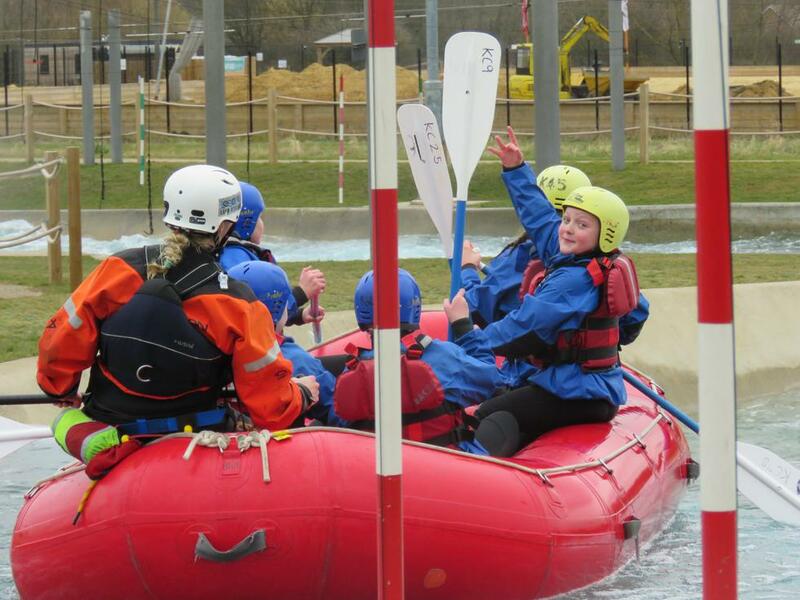 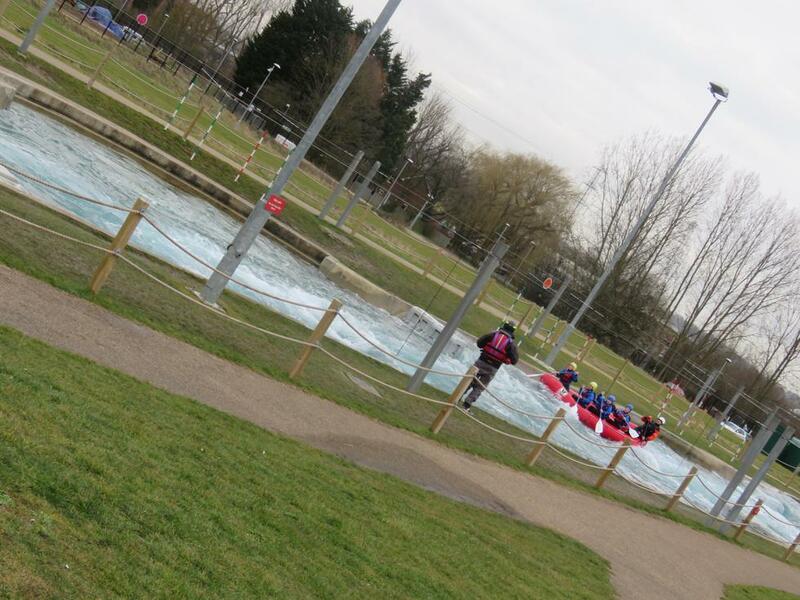 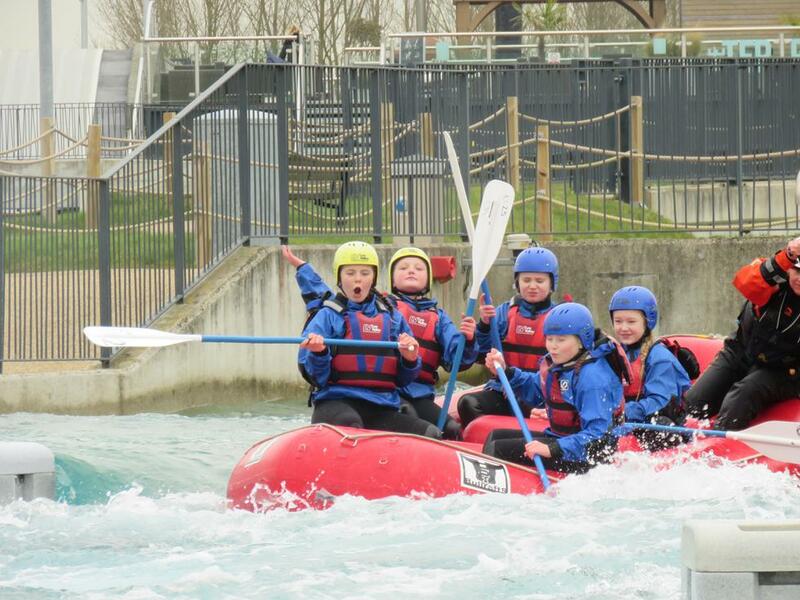 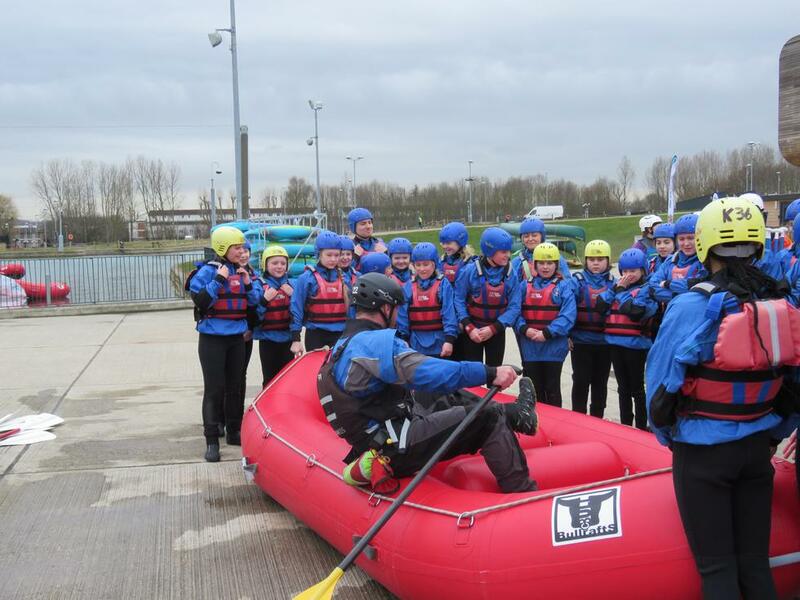 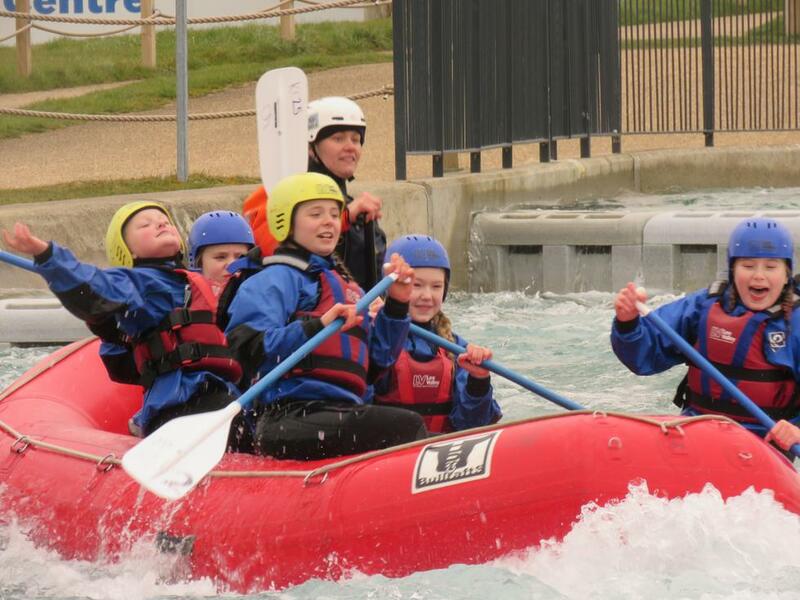 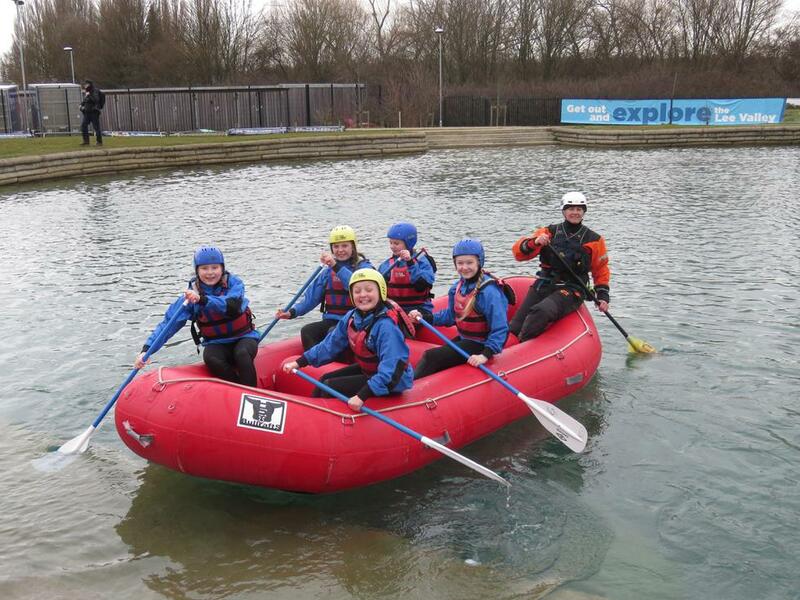 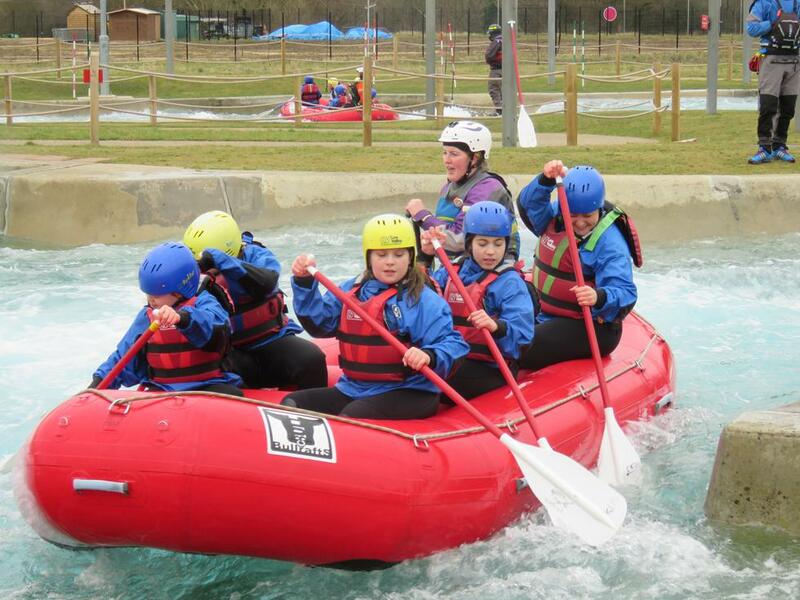 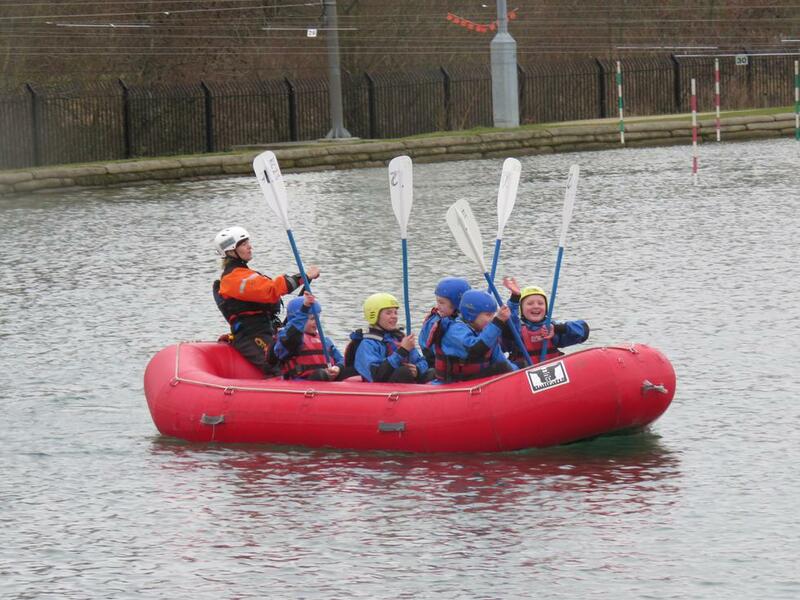 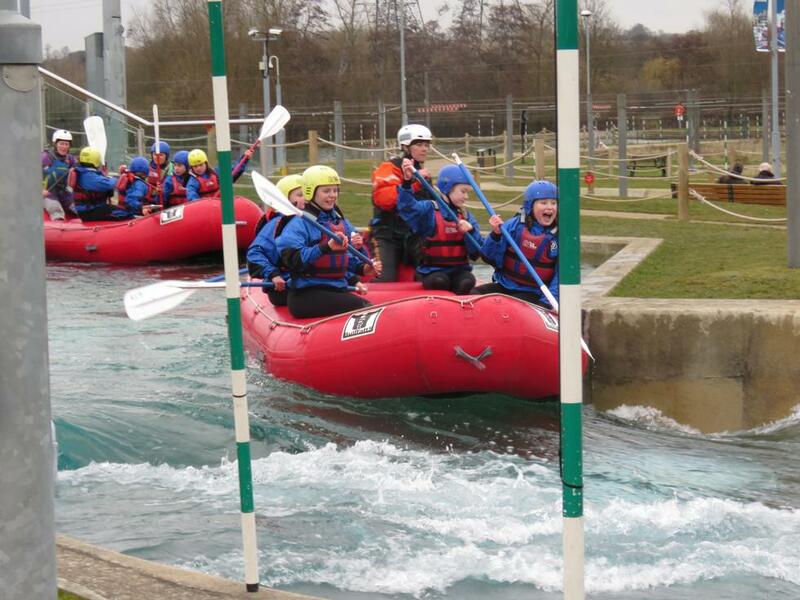 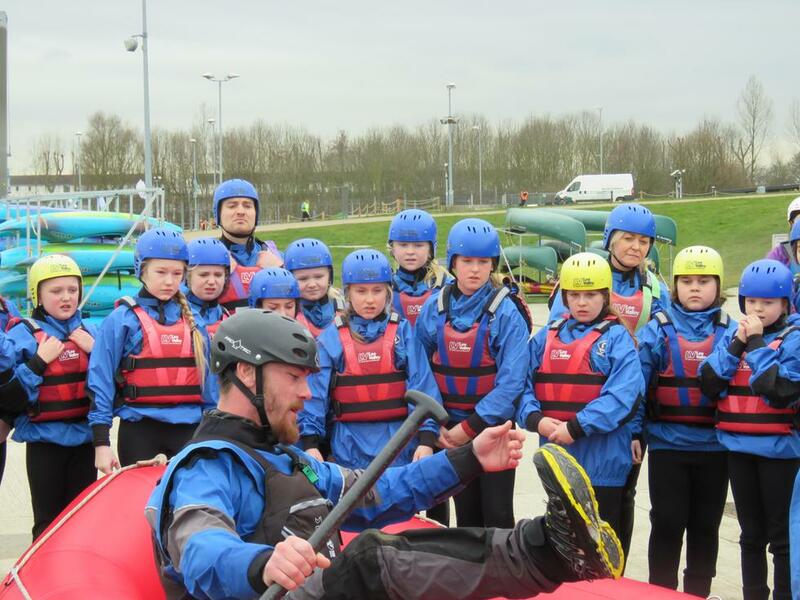 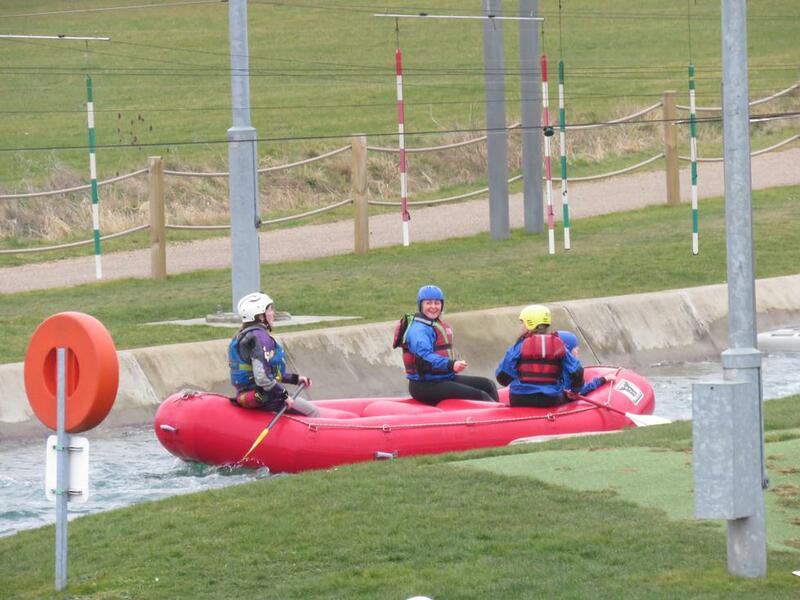 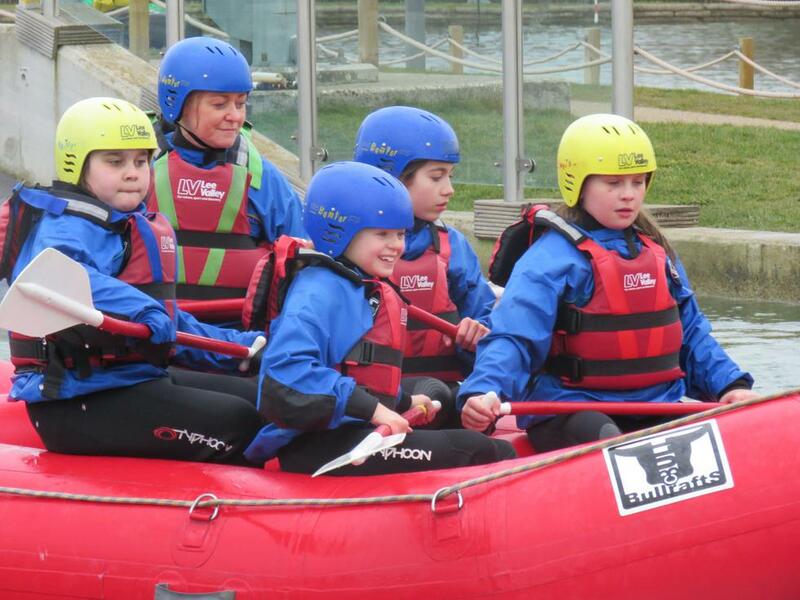 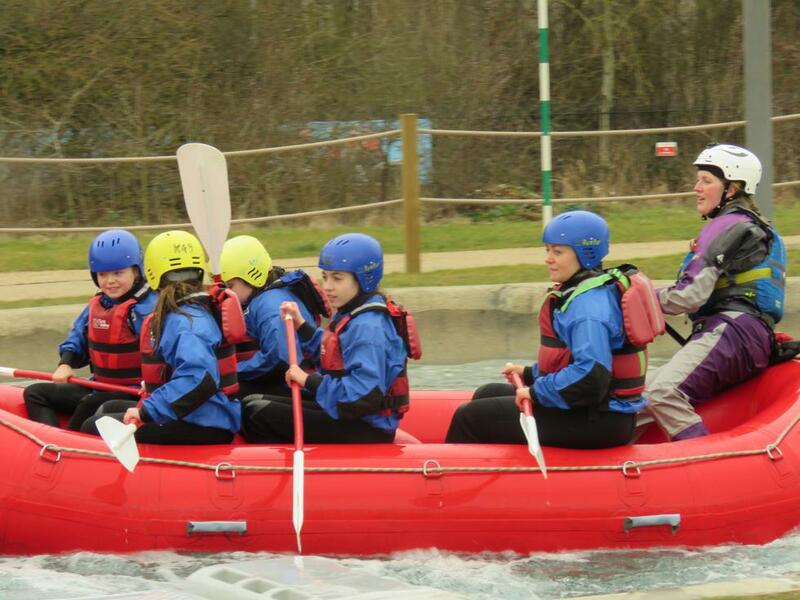 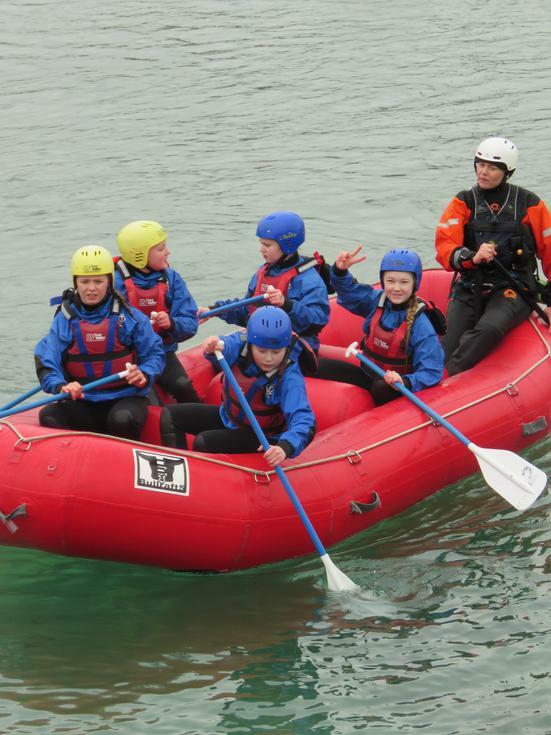 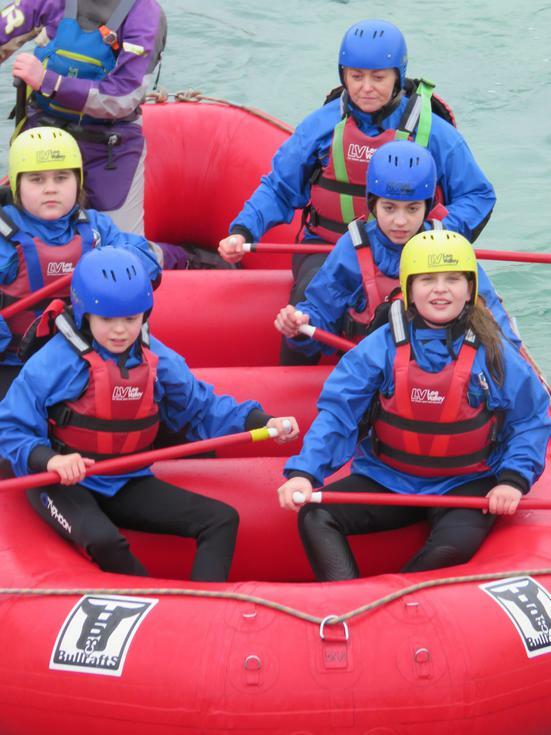 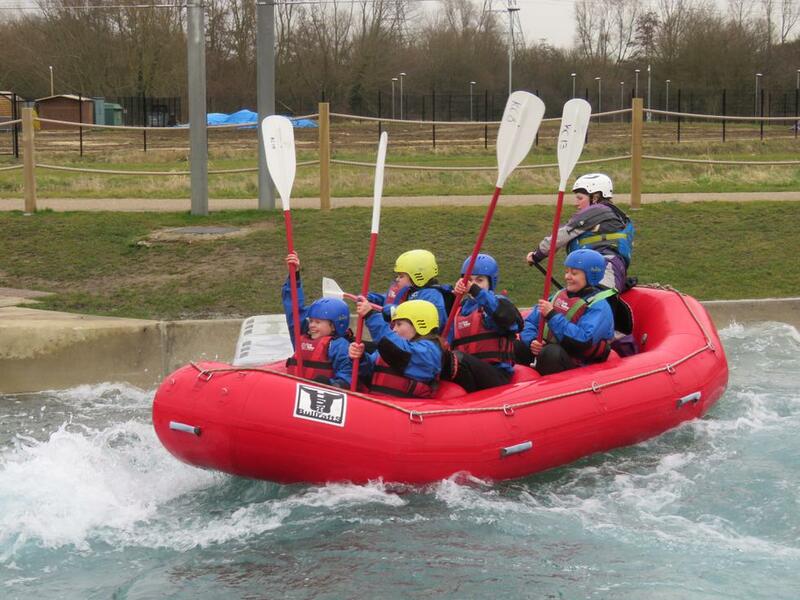 As part of this celebration, pupils were invited to rake part in rafting down the rapids, alongside other girls- of various ages- from other schools within Hertfordshire and North London. 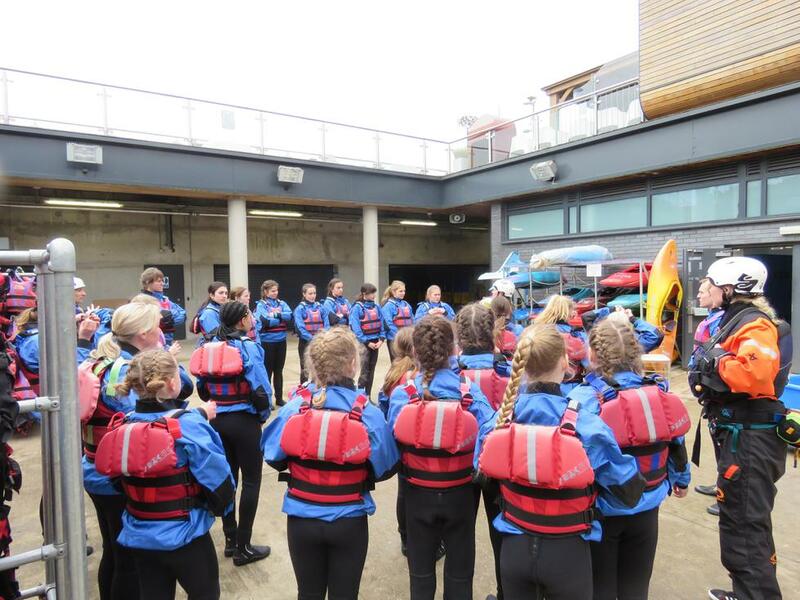 Feelings ranged from nervous to excited as they prepared for the challenge and after the struggles of getting each other into the tight wetsuits, the safety briefing began. 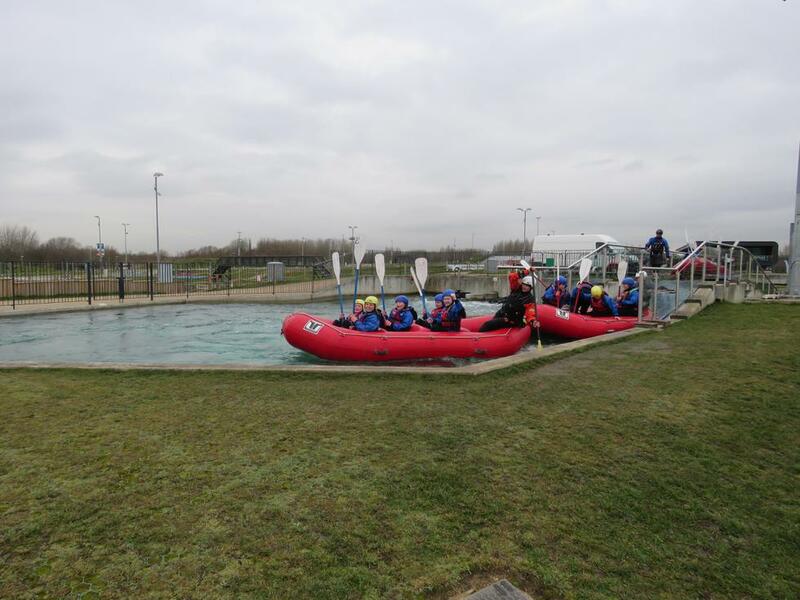 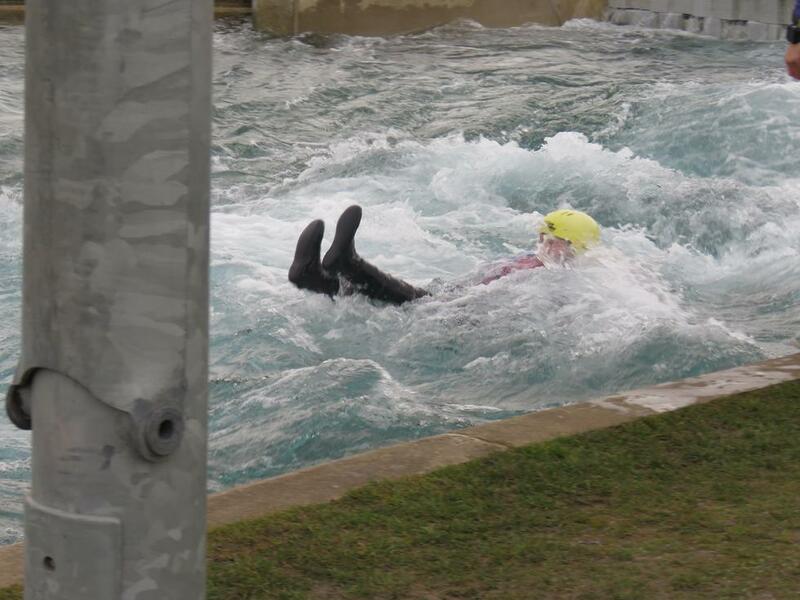 The session on water began with gentle paddling and learning techniques and instructions on the calm waters of the Kayaking lake; it was then time for the safety trial. 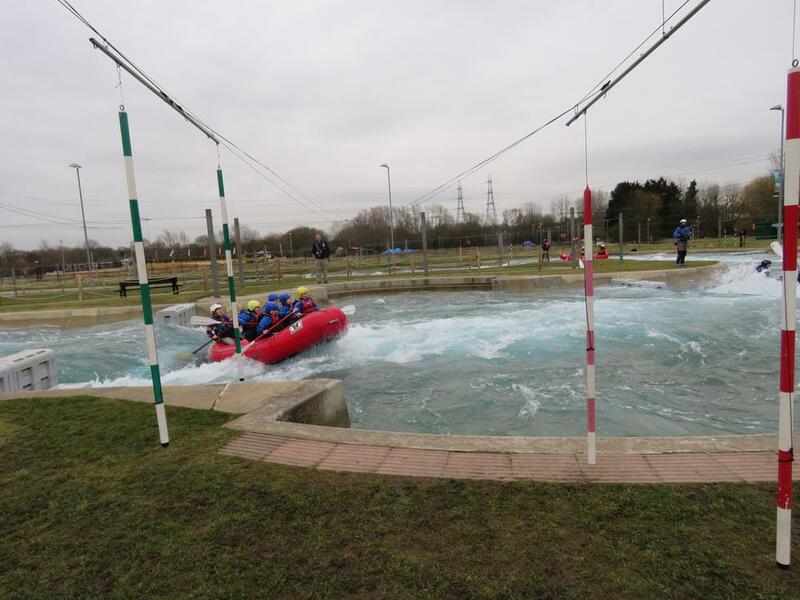 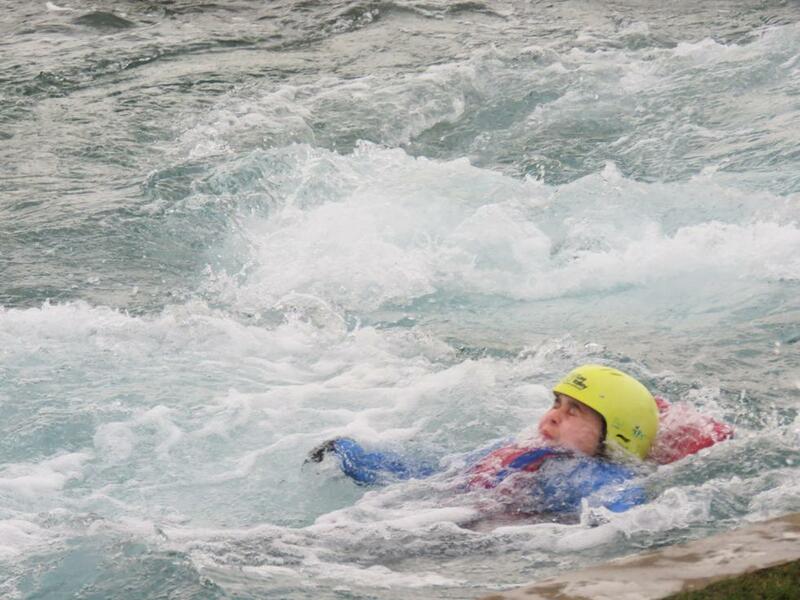 A rather exhilarating leap into the freezing rapids- to demonstrate their ability to float and swim- certainly took their breath away but they all passed with flying colours. 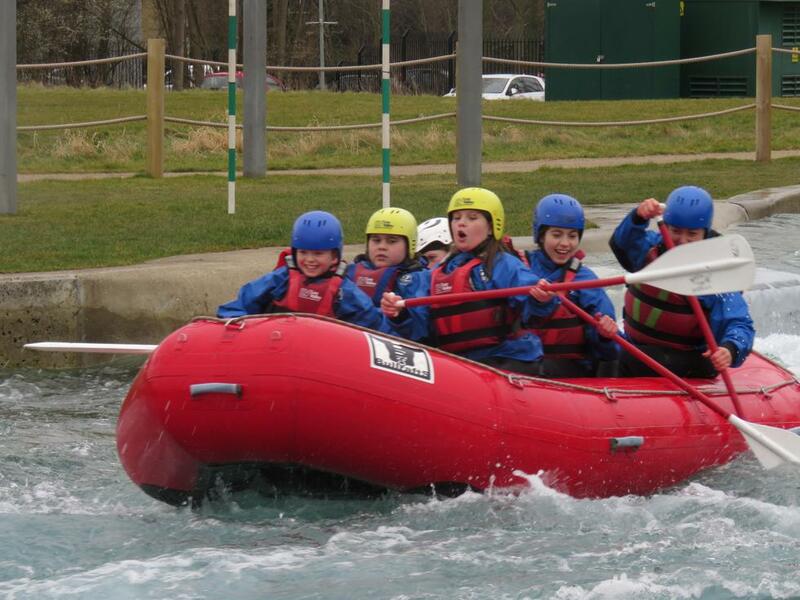 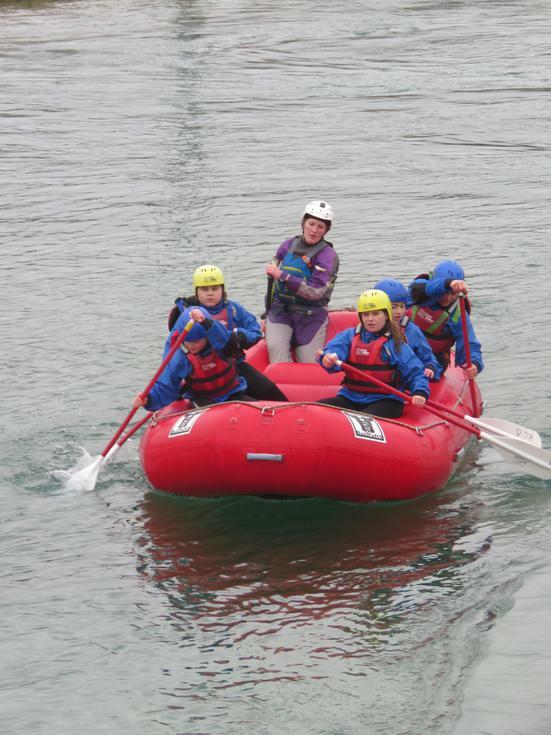 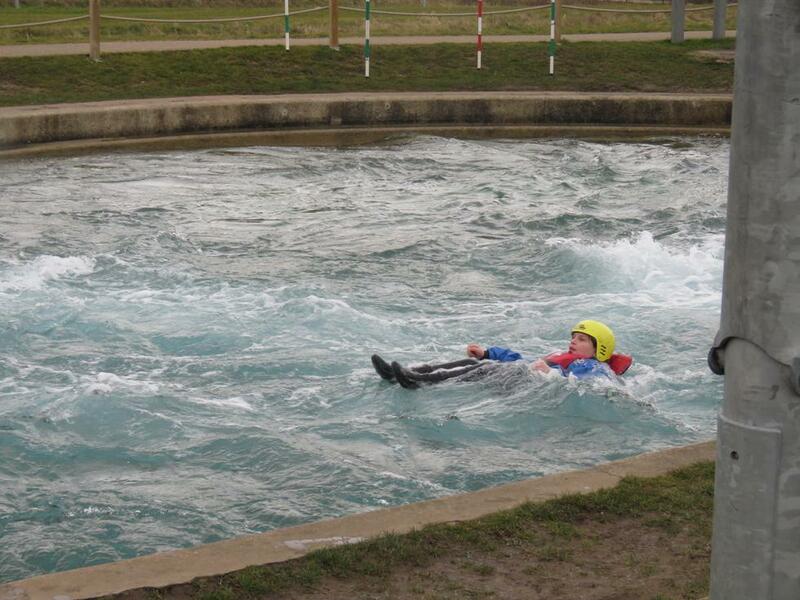 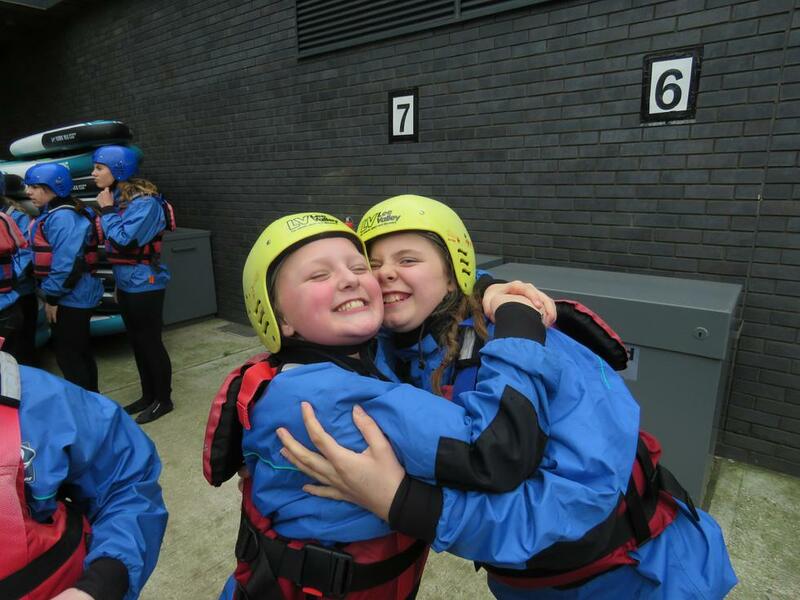 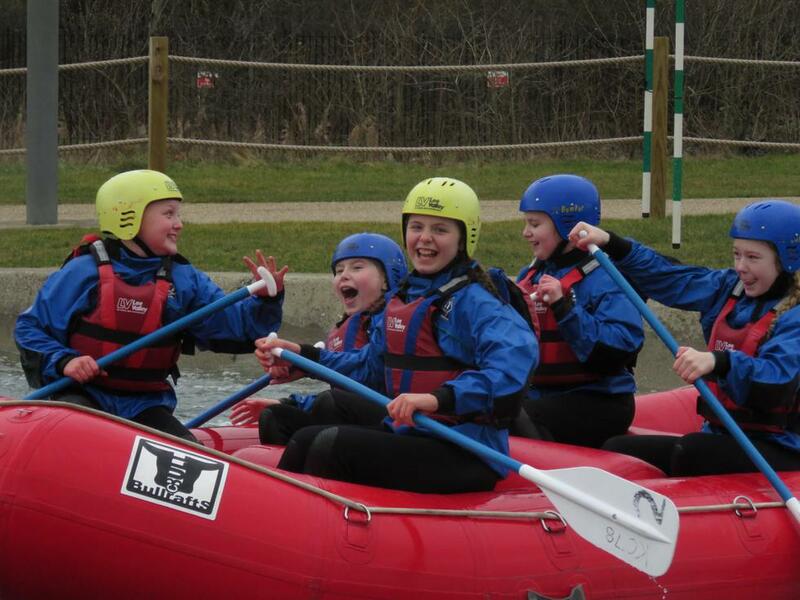 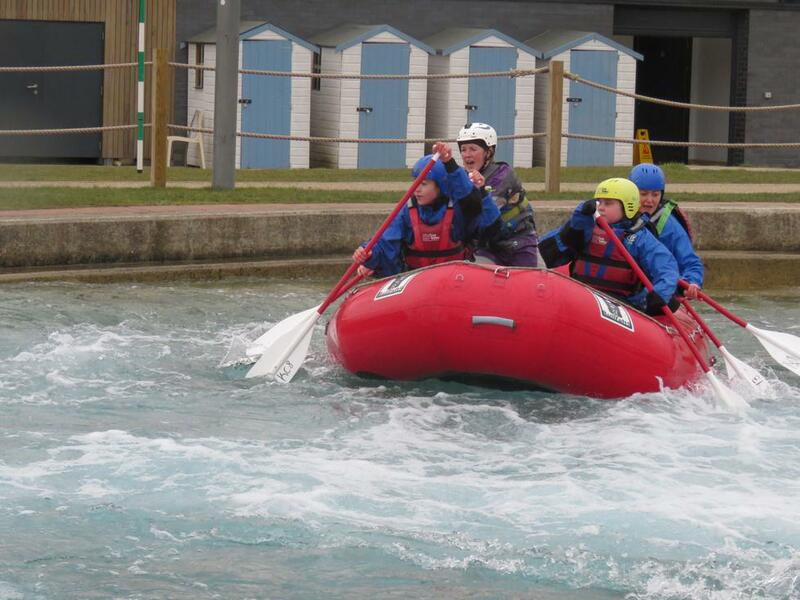 The groups then took to the water for the rafting and squeals of laughter could be heard all around the site! 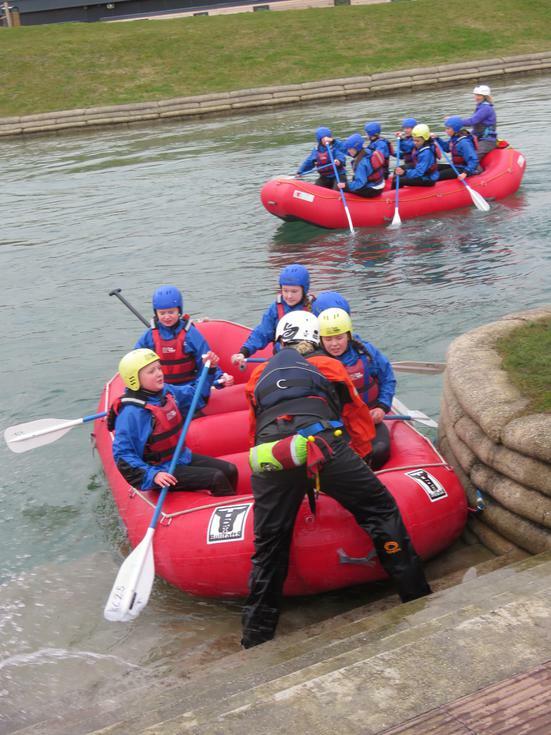 The rather bouncy rafts took to the waters, some gracefully and others in a haphazard way! 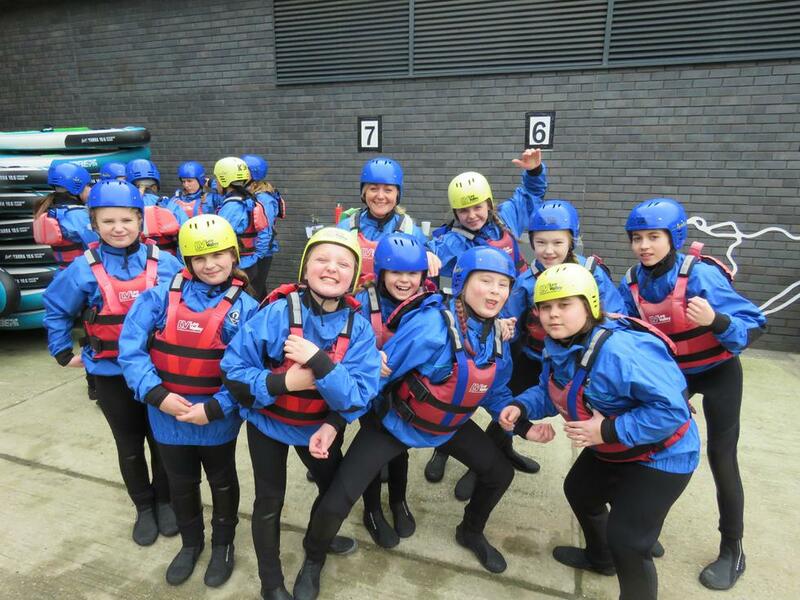 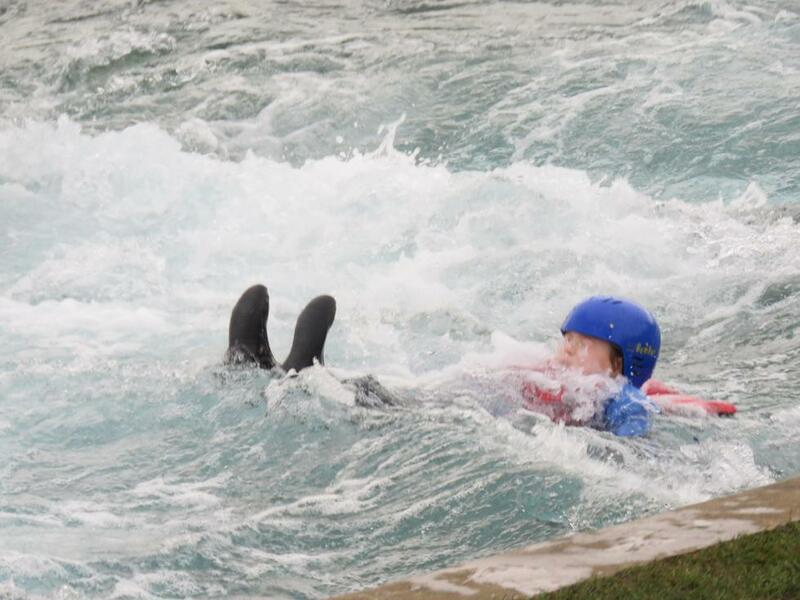 The girls all demonstrated their new found skills- down, right, left, paddling forwards and backwards- and thoroughly enjoyed their session of over two hours, in the fast-flowing rapids. 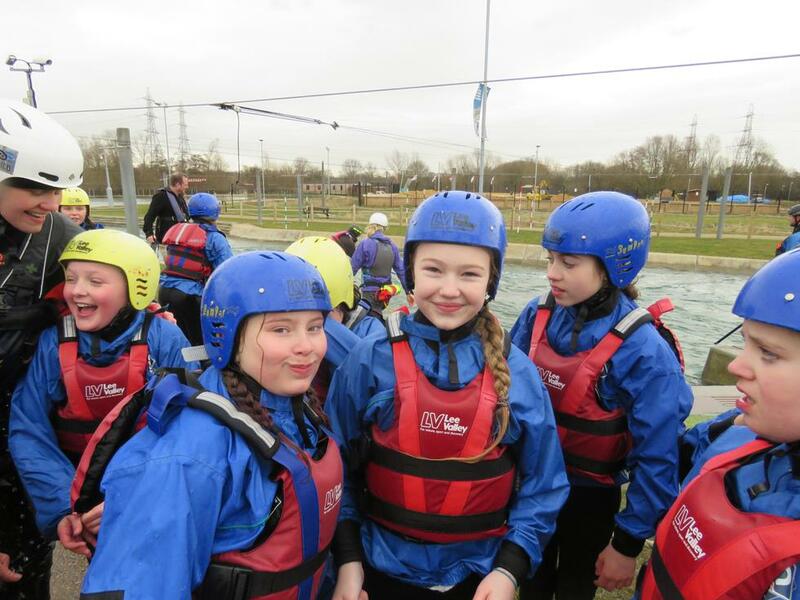 Hot showers were much appreciated by all, following the rather chilly conditions and much talk of trails and tribulations followed! 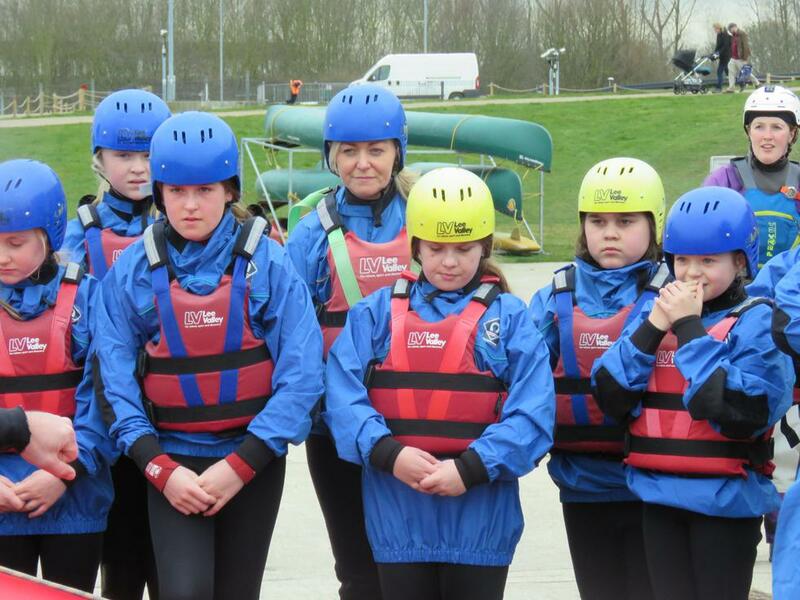 A 30 minute, inspiring talk about women in sport then followed from a British team freestyle kayak champion 'Lowri Davies' and the girls were excited to hear of her: travels, background and her inspiring words of encouragement. 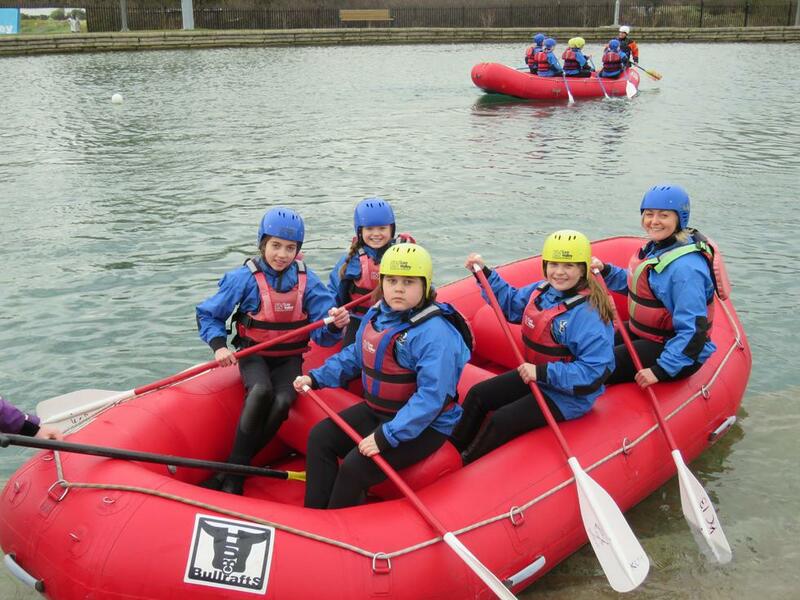 It was great for the girls to feel empowered as well as have this great experience.